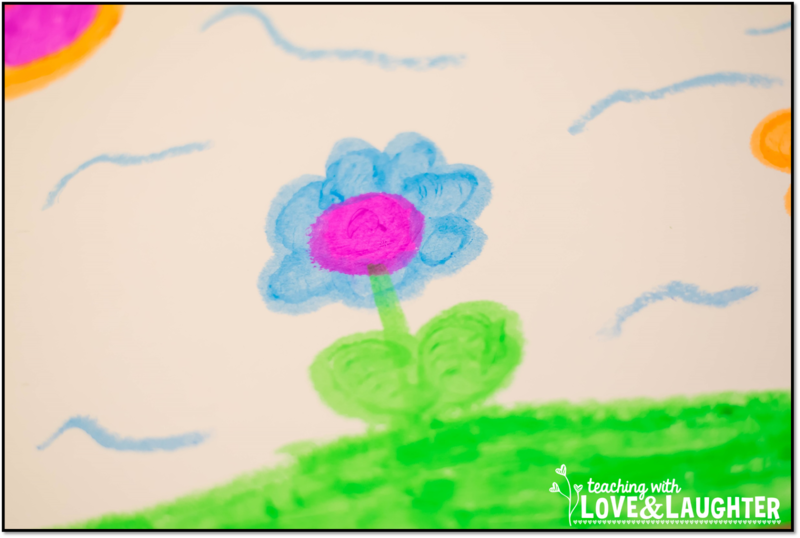 The colors are super vibrant and the paints are extremely fun to use. 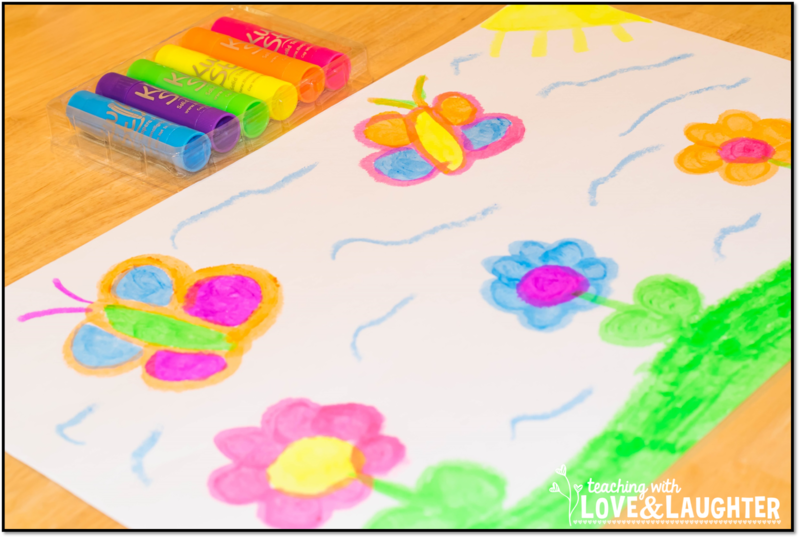 Kwik Stix Solid Tempera Paint Sticks take the mess out of painting. Yes, mess can be fun, but, sometimes, we just don't have the time it takes to set up and clean up when using regular paints. 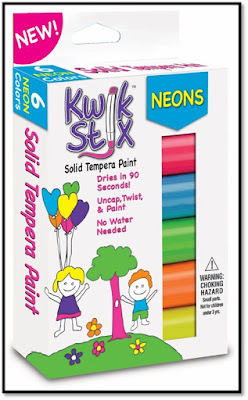 Kwik Stix are solid tempera paints that require no water, paint brushes, or smocks. 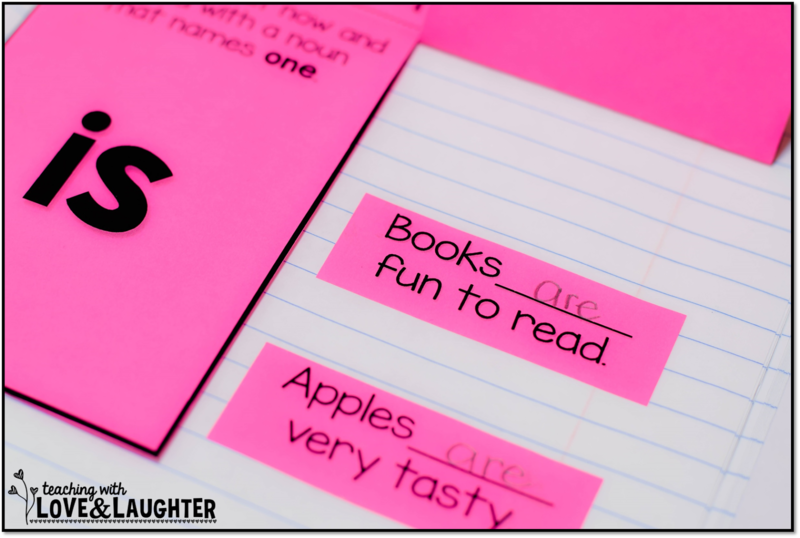 They are low on mess and high on fun! 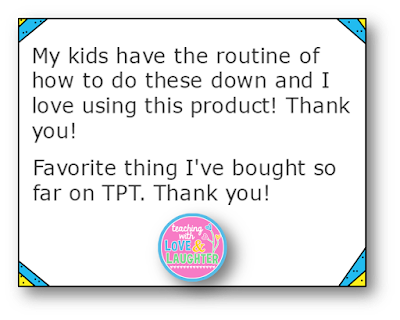 The paints come in tubes. 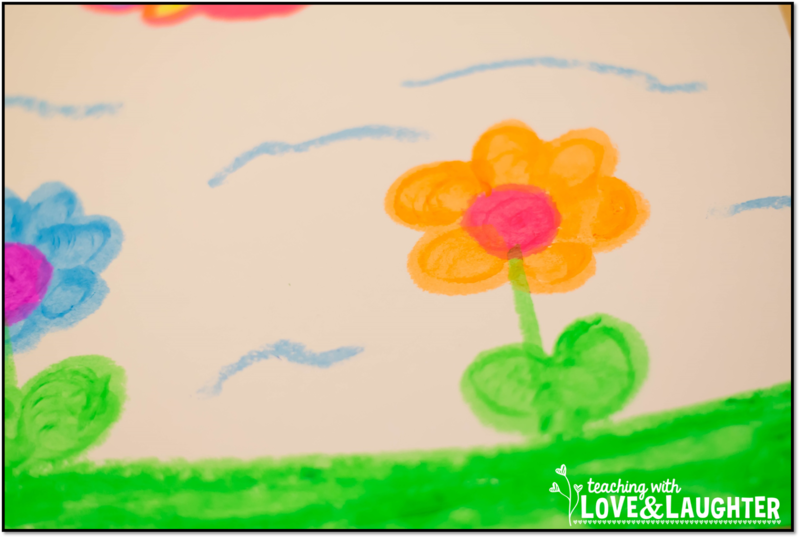 All you do to use them is twist off the top and start painting. 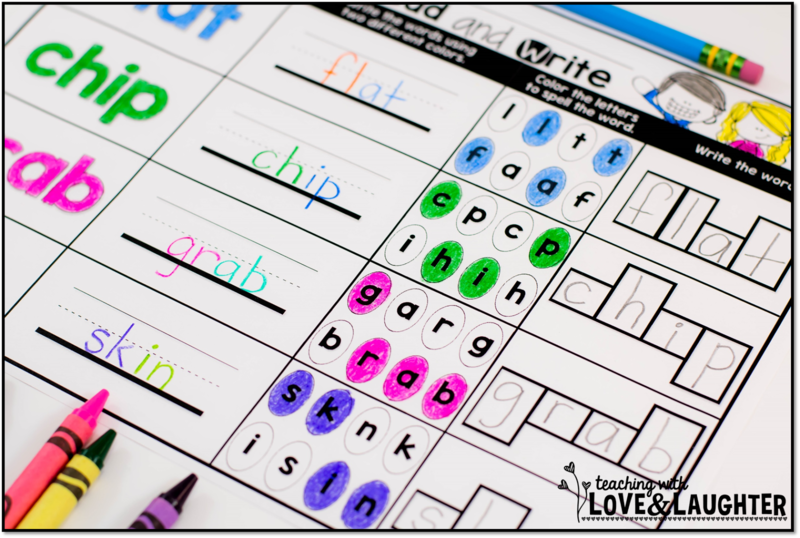 Kwik Stix are easy to hold and they glide smoothly across the page. 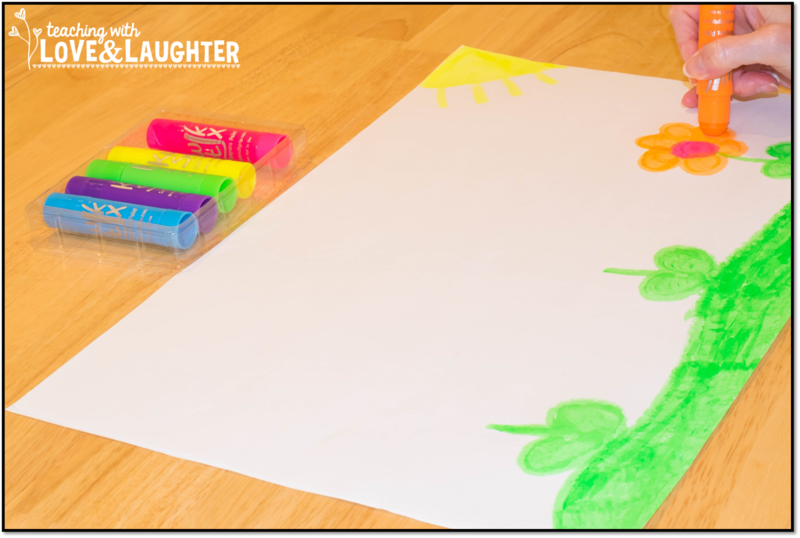 You can paint lines of varying thicknesses, as well as, fill in large areas. 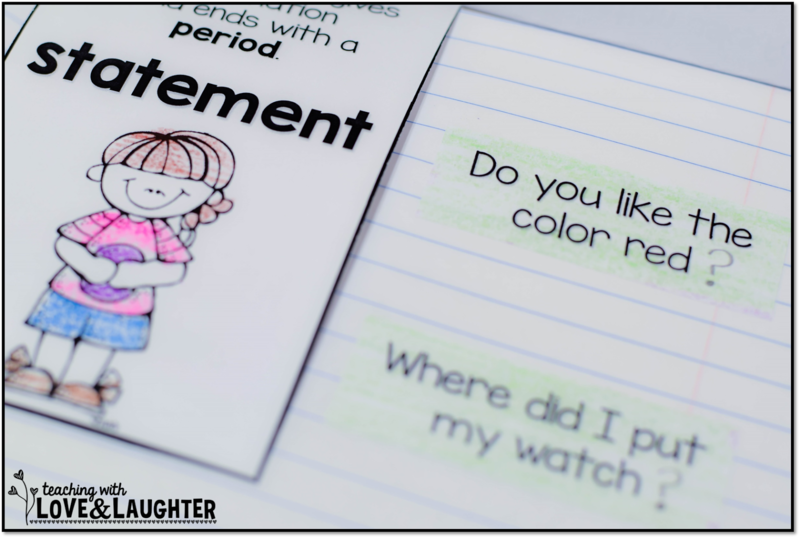 They dry with a beautiful paint-like finish. The paint doesn't crack, even when the paper is folded. 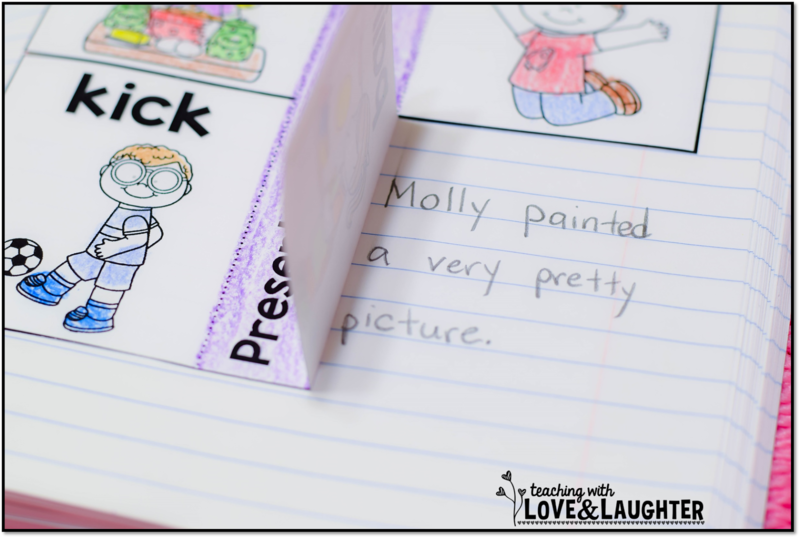 You can use Kwik Stix on a multitude of surfaces, like paper, posterboard, wood, and canvas. 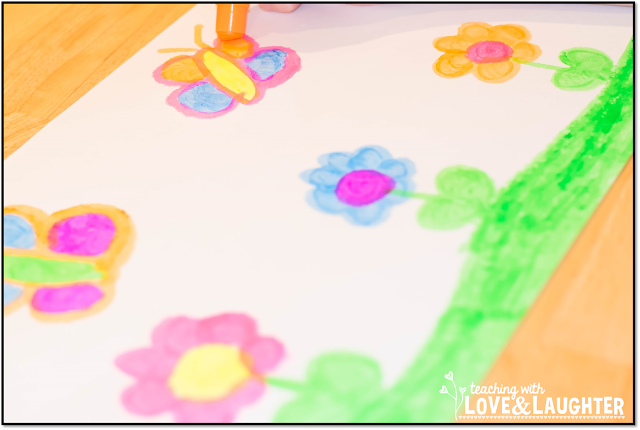 The paint dries in under two minutes. 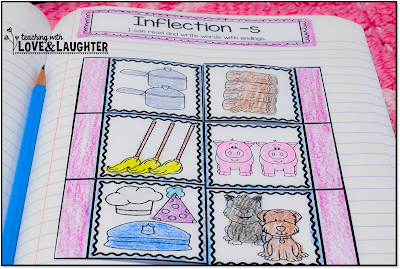 I certainly don't miss walking across the room with a dripping paper! 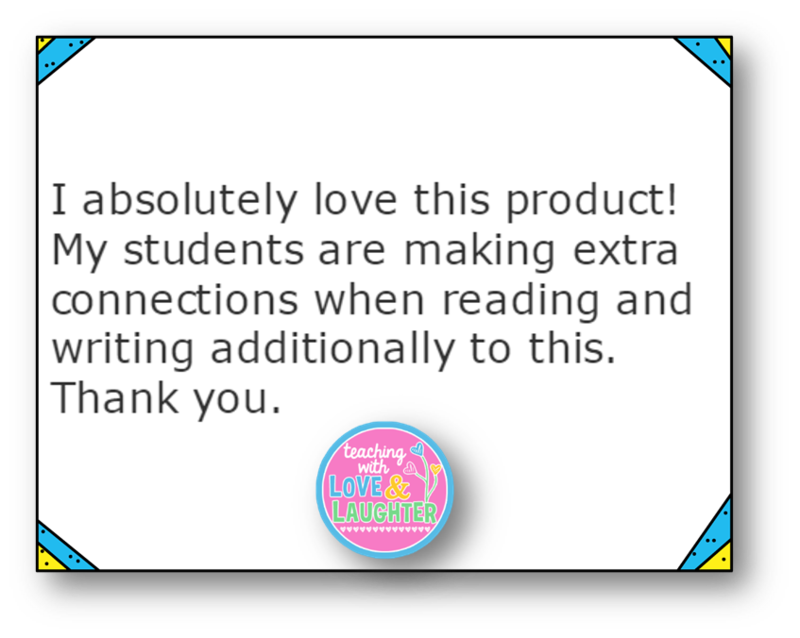 I highly recommend Kwik Stix for every home and classroom. 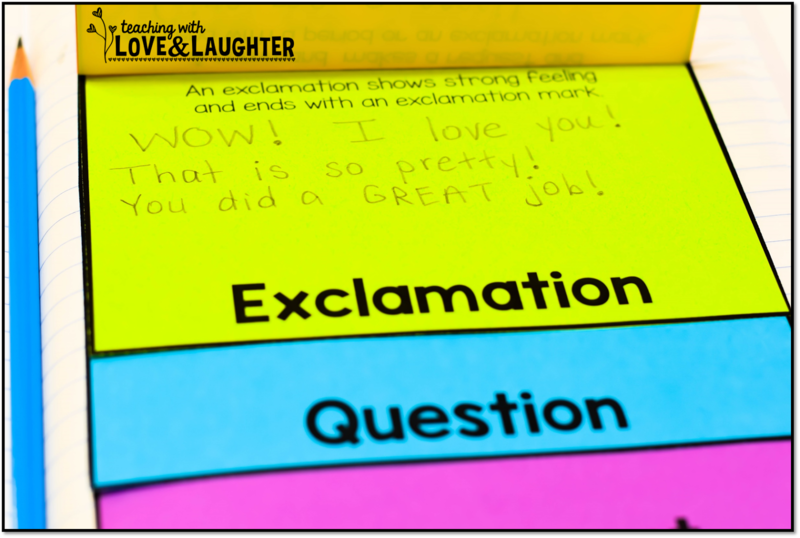 They make it fun and easy to be creative. 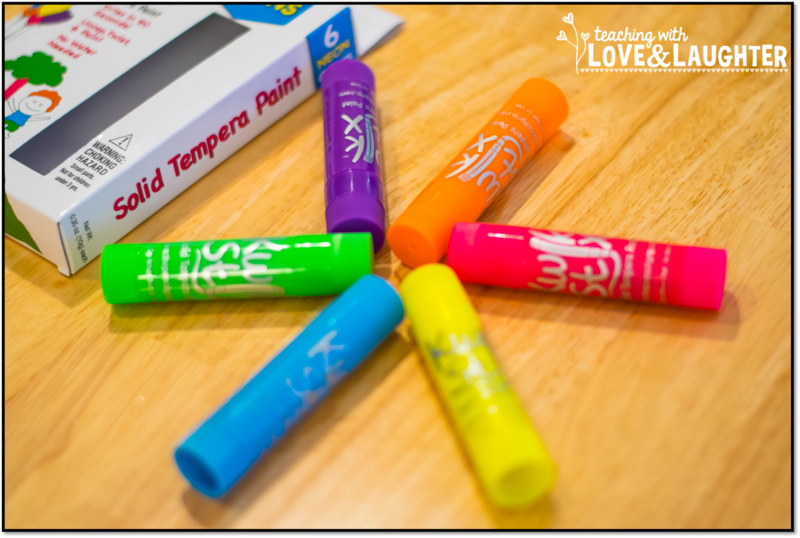 You can purchase Kwik Stix Solid Tempera Paints in so many different varieties. 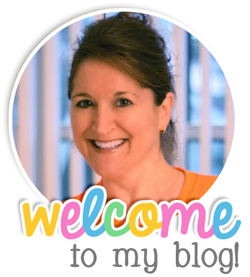 They have a 6 pack, 12 pack, and 96 pack. 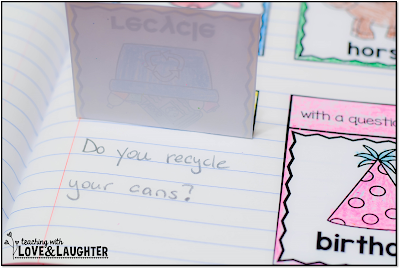 They come in the neon you see here, metalix, and classic colors. 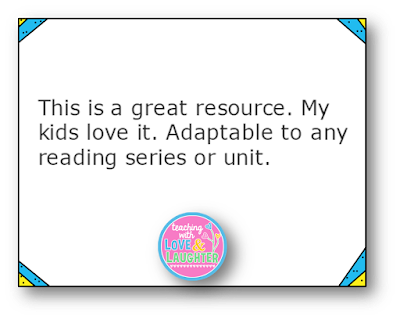 You can find them on Amazon, as well. 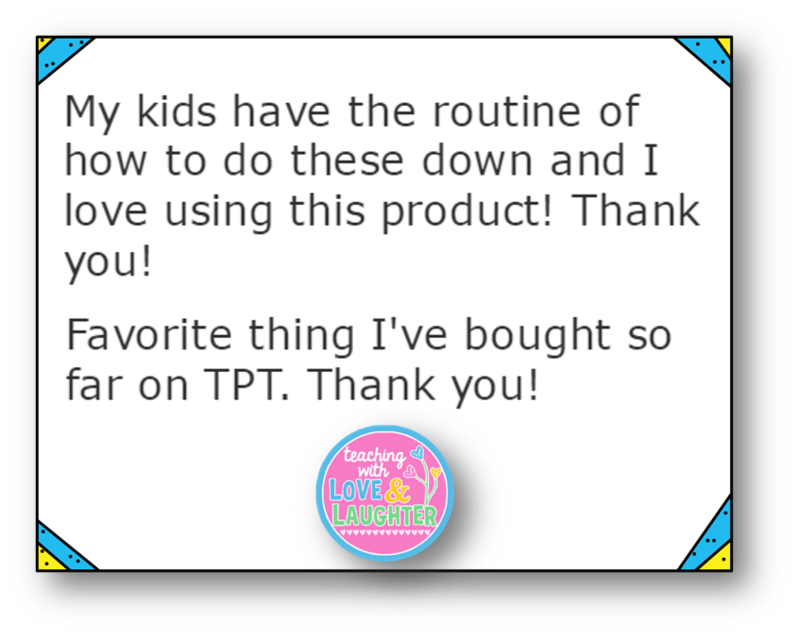 Be sure to follow them on Pinterest! Would you like to win a 6 pack of neon and a 6 pack of classic colors for your home or classroom? 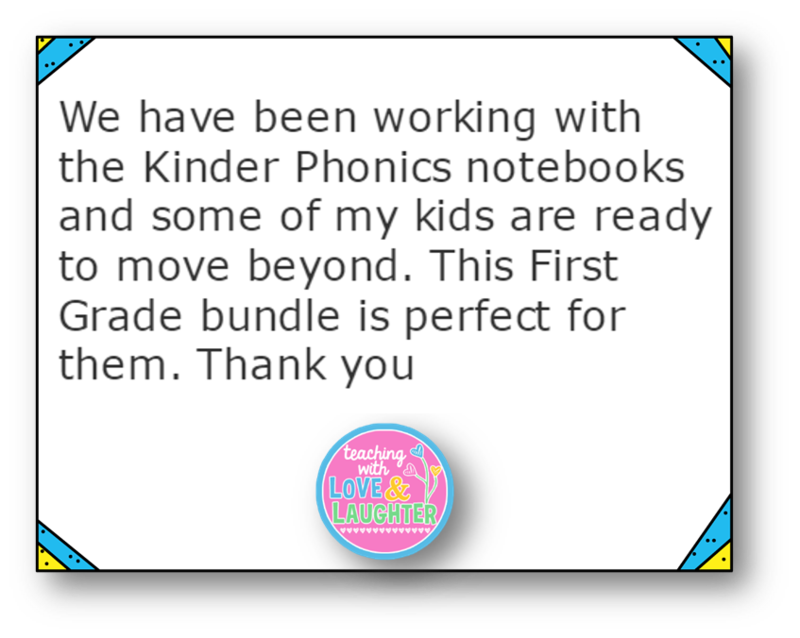 I am giving both packs away to one lucky winner. Just enter using the rafflecopter below. 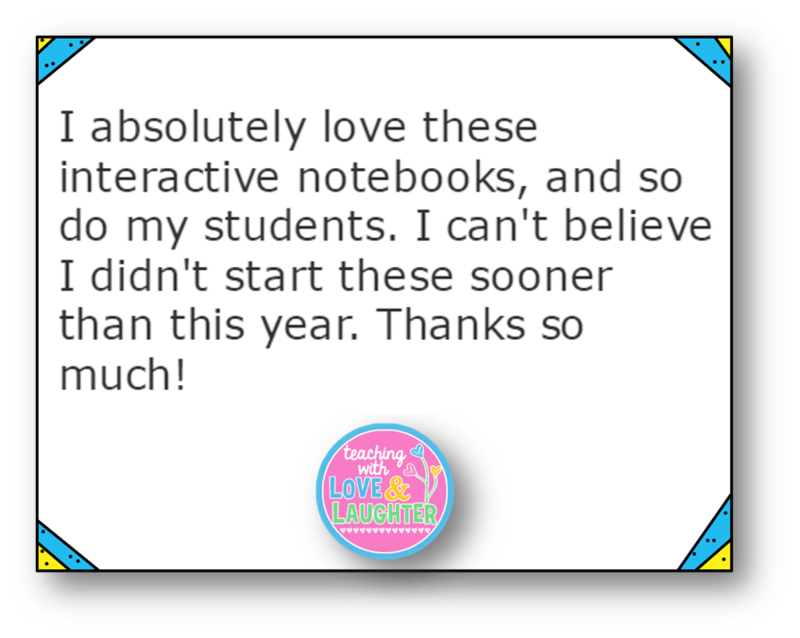 I've given you lots of opportunities to enter, thereby increasing your chances of winning. Just pick and choose the options you prefer. 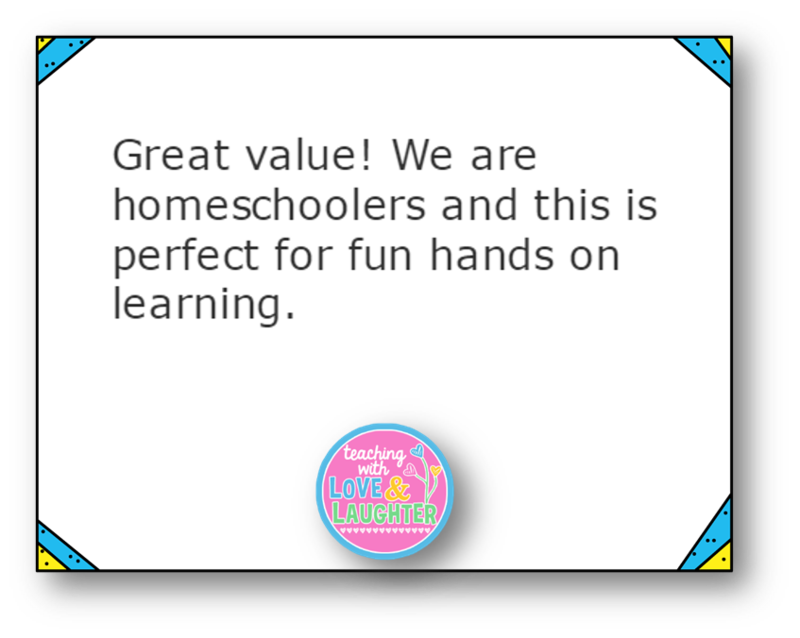 But, please remember to enter with integrity, as all winners will be verified. 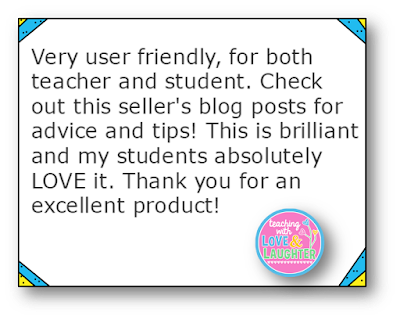 Thank you and good luck to you! 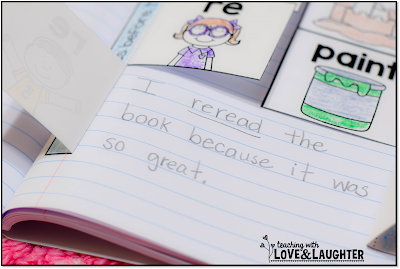 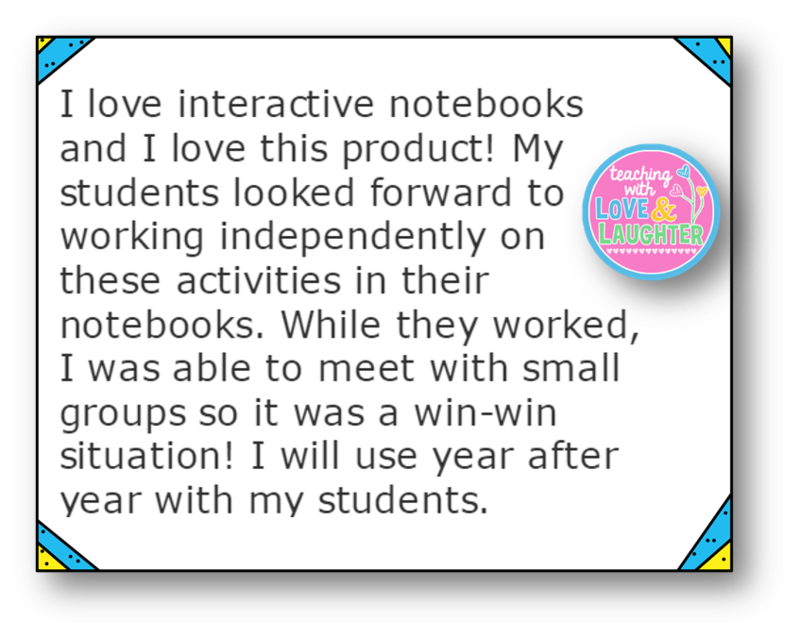 I started using interactive notebooks in my kindergarten and first grade classroom two years ago. I had just returned to school after Spring Break and I wanted to spice things up for the remainder of the school year. During my break, I had created a few foldables and on the first day back, we just dove right in. 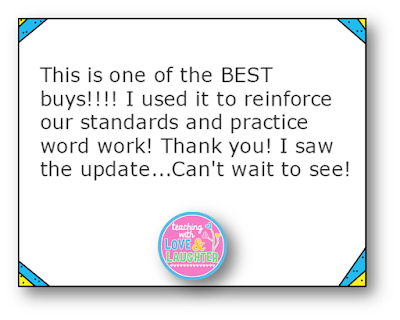 It was a BIG game changer! 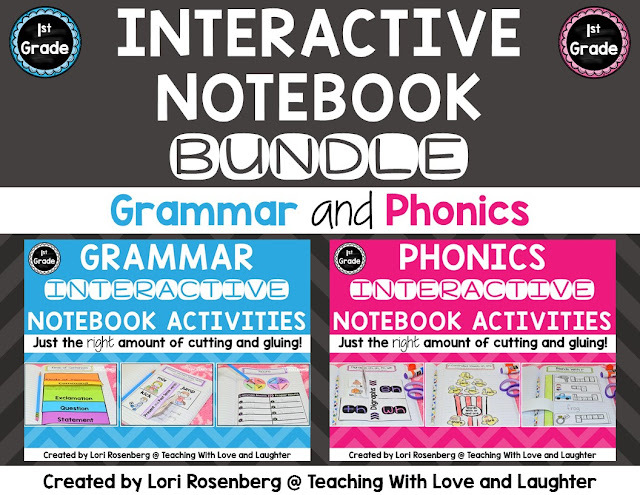 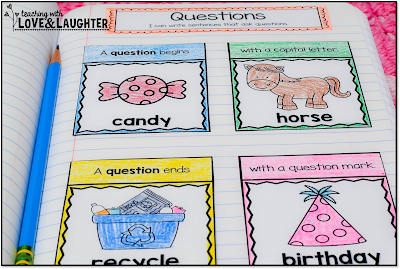 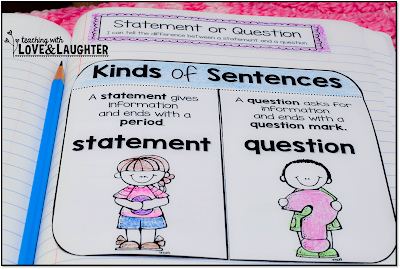 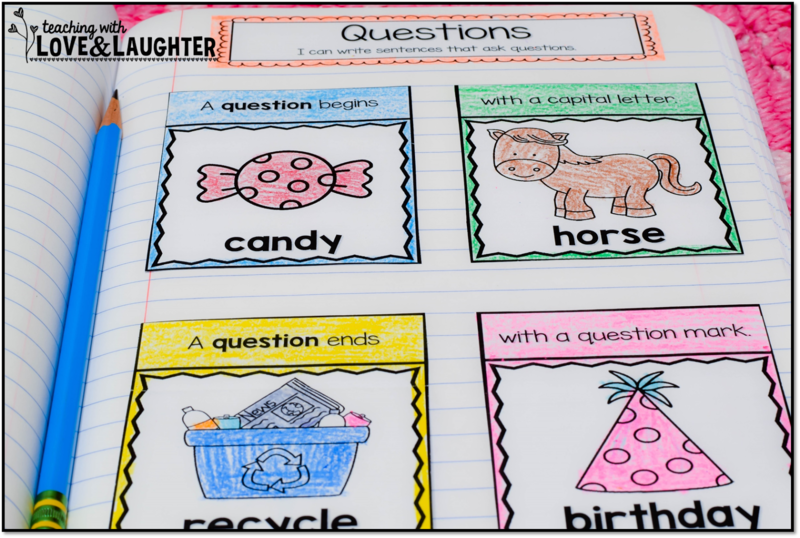 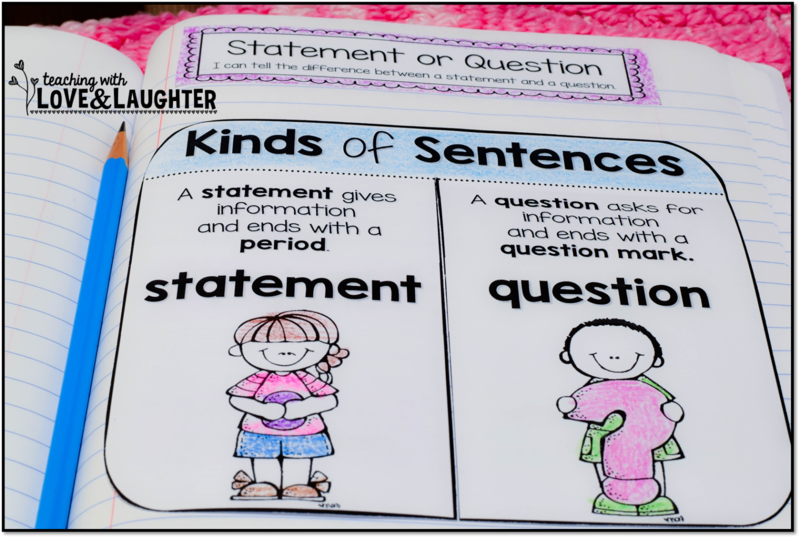 I've received tons of great feedback about my grammar and phonics interactive notebook activities for first graders, and I'm going to share some of it with you, because I thought it would be a fun and beneficial way to answer all the questions you may have about interactive notebooks. I get asked a lot of questions about why I use them, how I use them, what do my students and their parents think of them, and how have my students benefited from them. 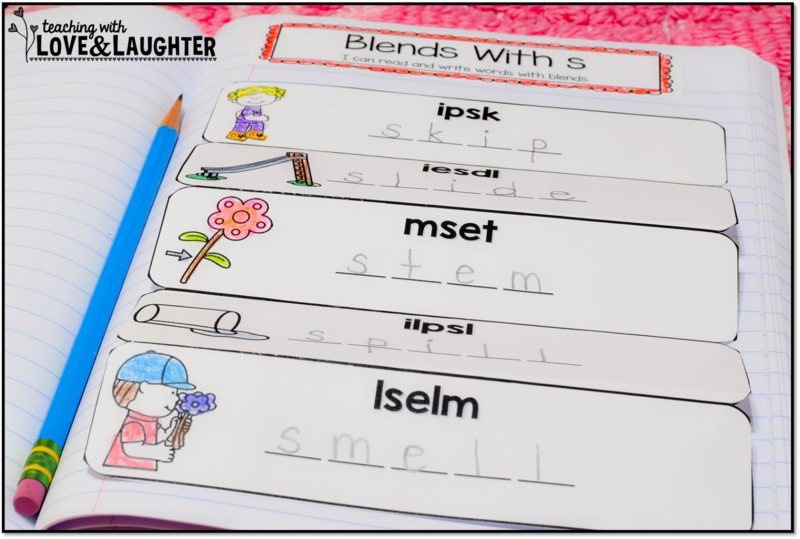 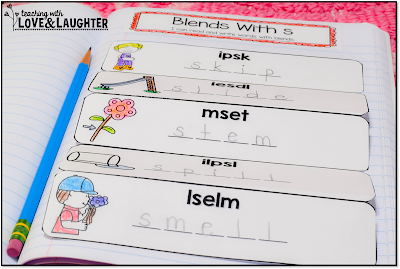 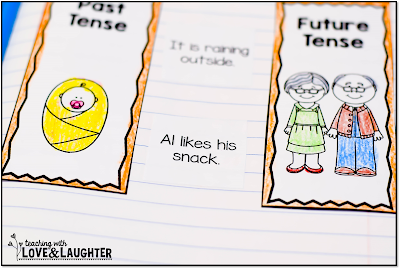 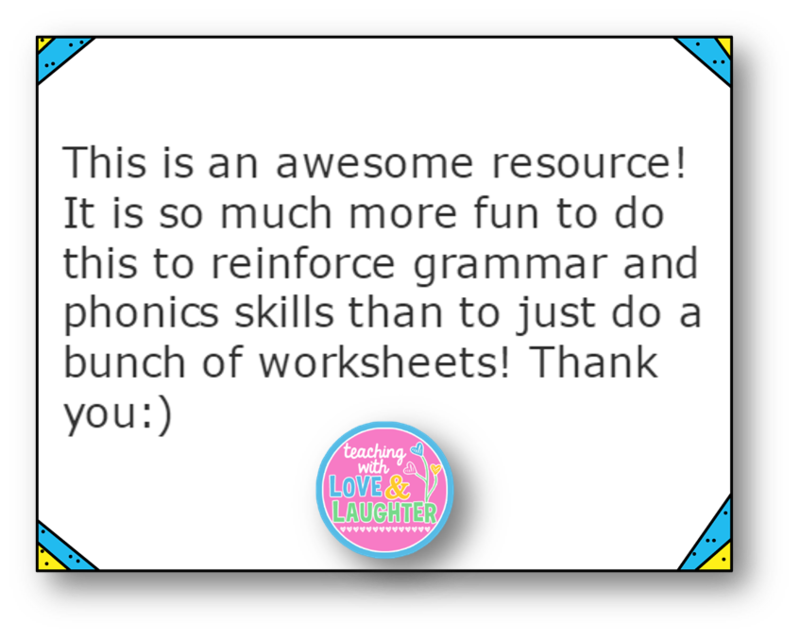 I recently added more activities to my grammar and phonics bundle, so I'm going to intersperse some pictures throughout this post. 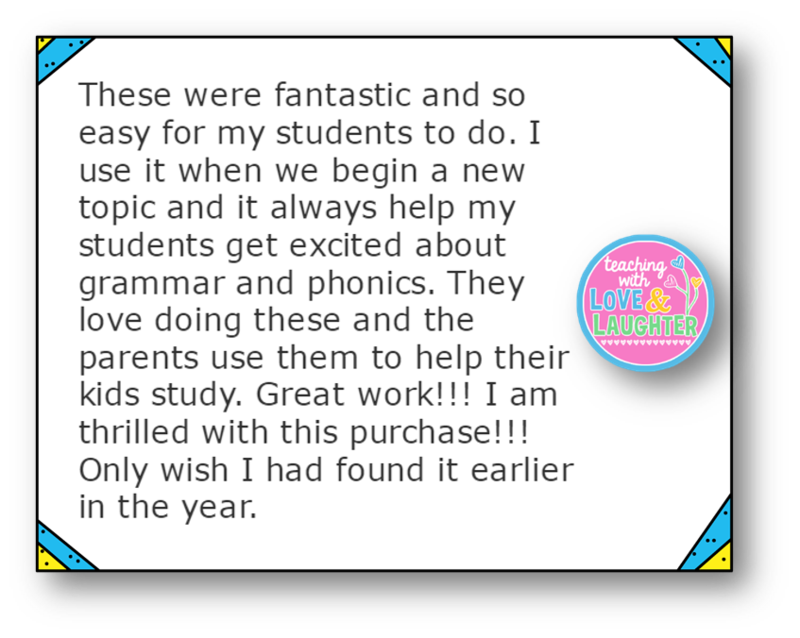 *Please note that some of the feedback written by the teachers may contain typos. 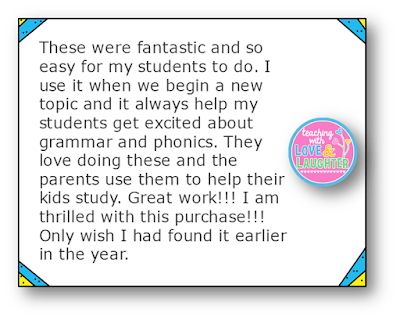 That is only because they were super excited to let me know their feelings! 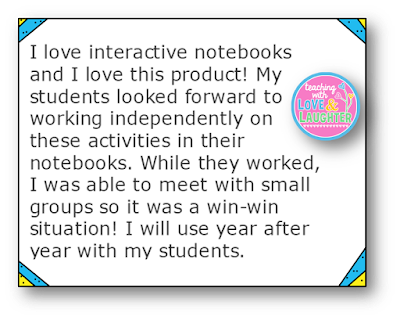 Why should I use interactive notebooks in my classroom? 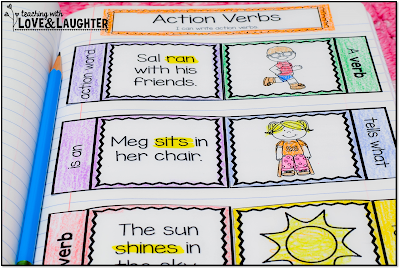 Can I use these activities if I use a reading series? 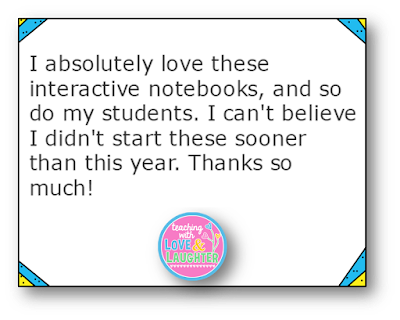 By the way, I have interactive notebook activities that are aligned to the 2014 Journeys reading series. 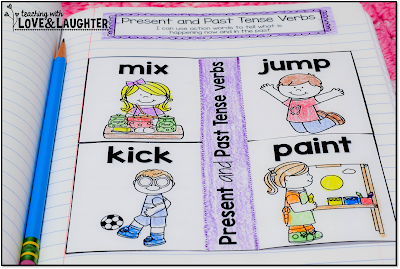 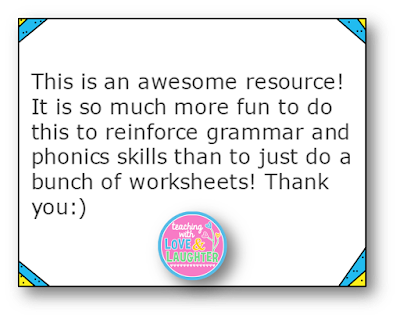 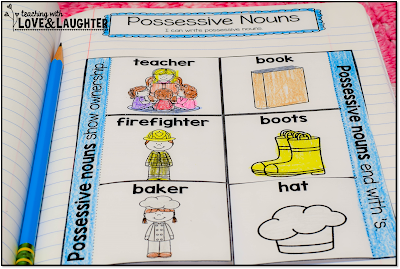 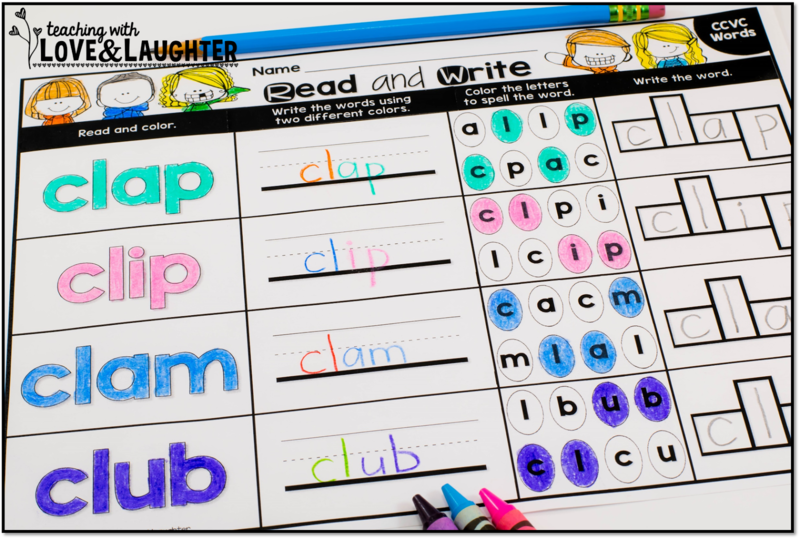 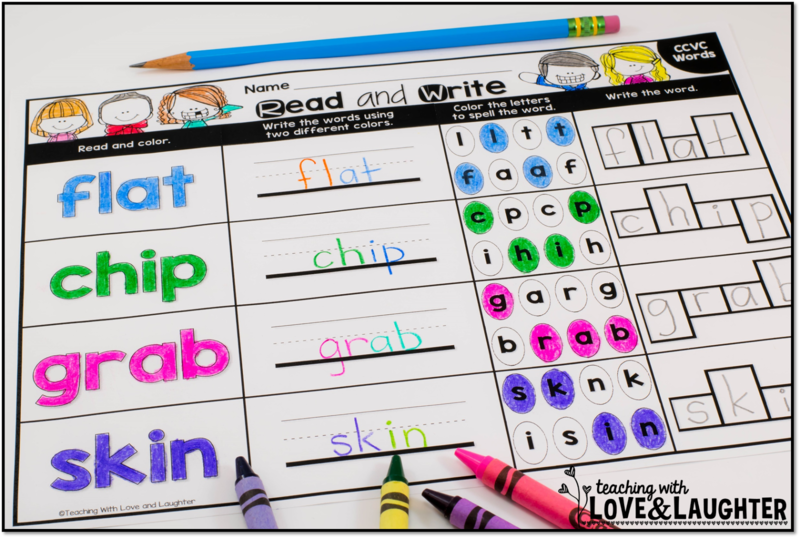 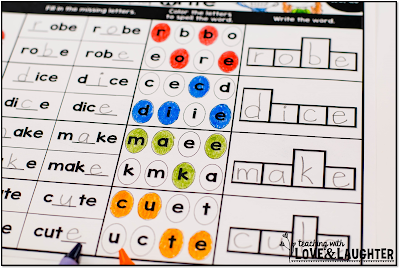 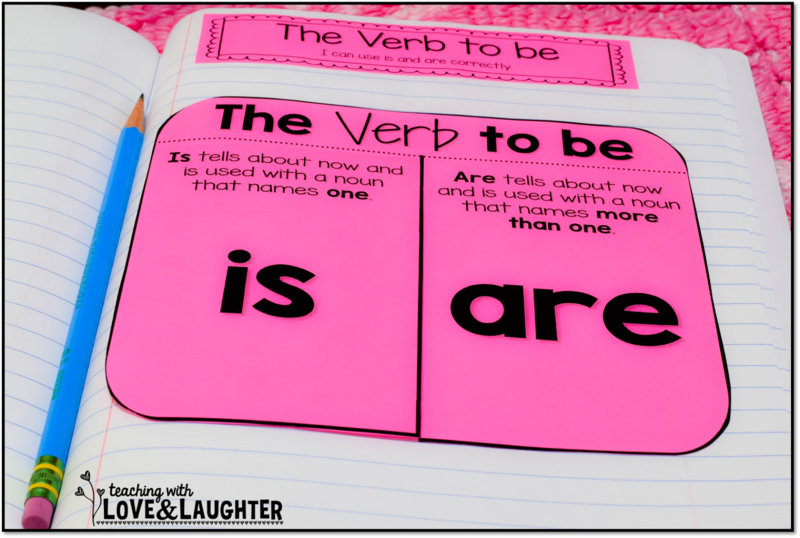 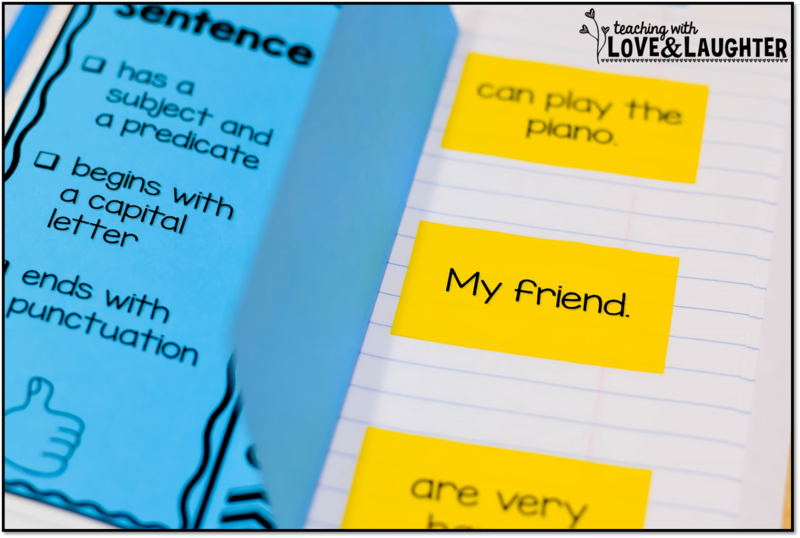 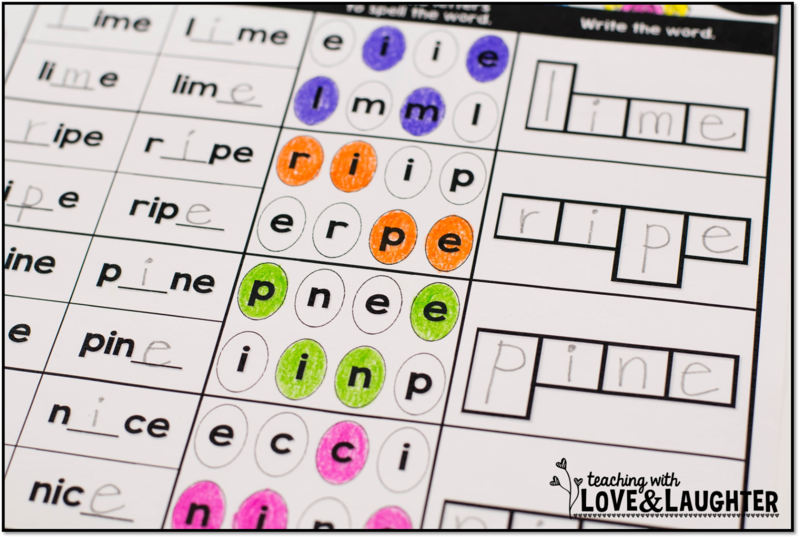 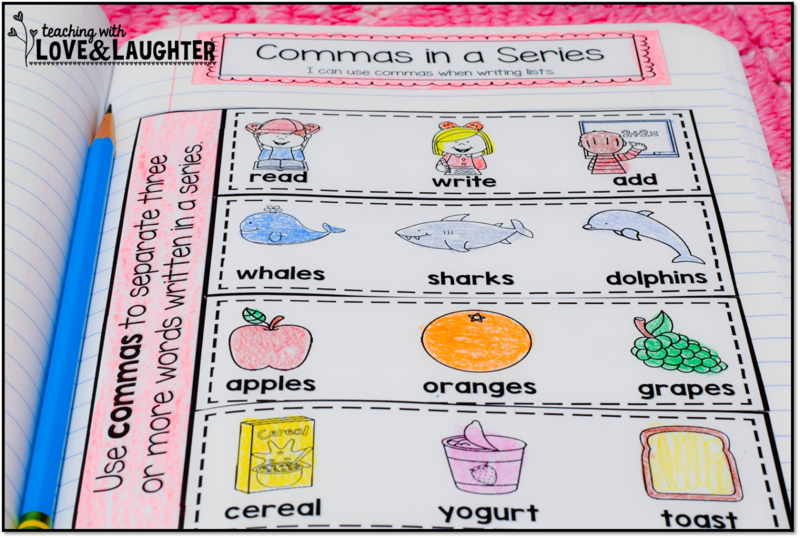 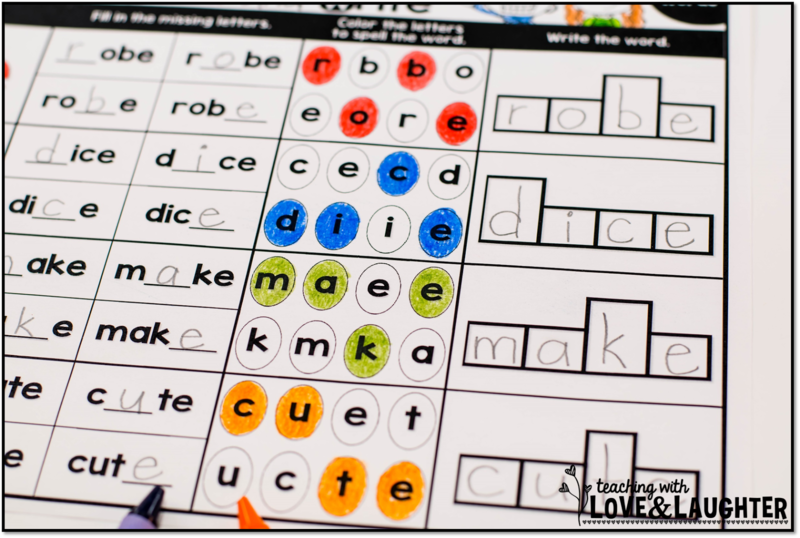 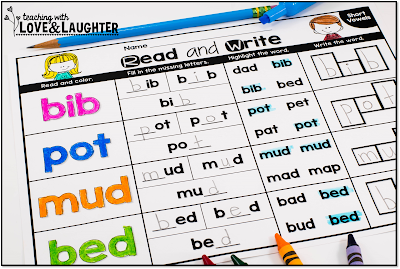 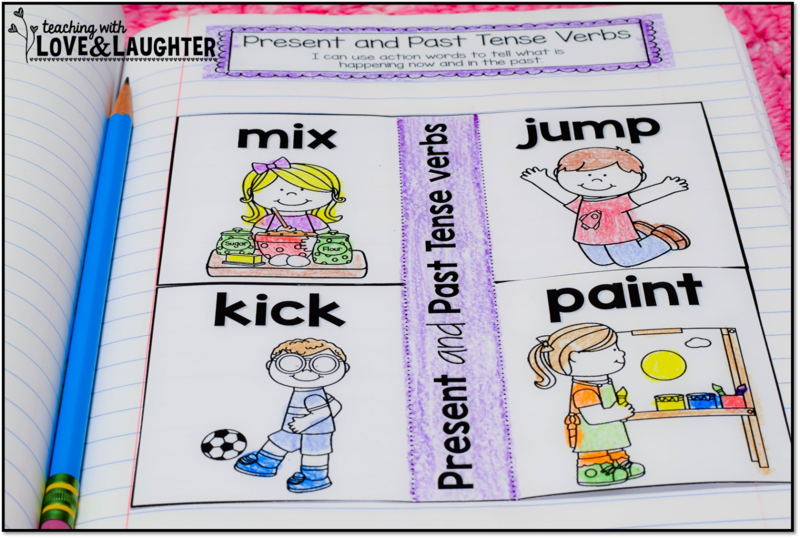 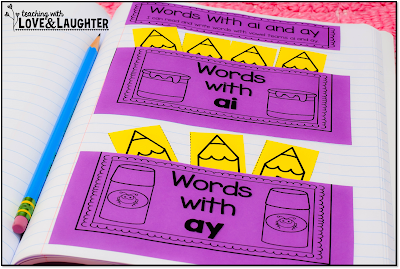 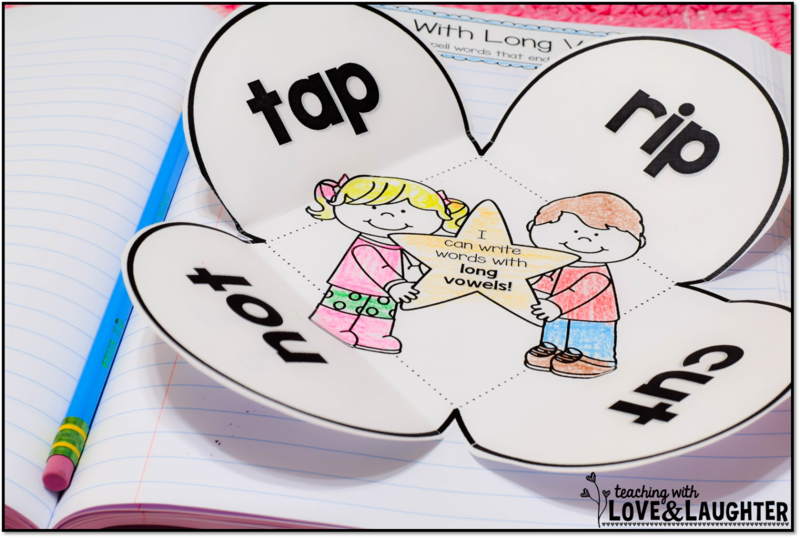 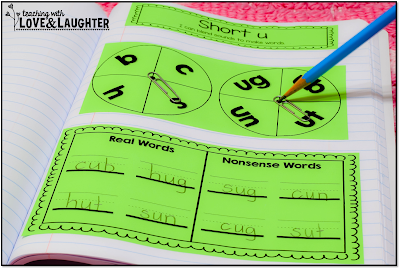 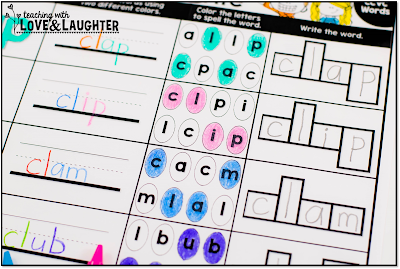 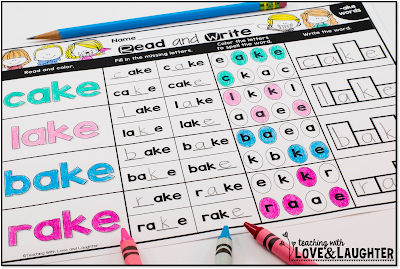 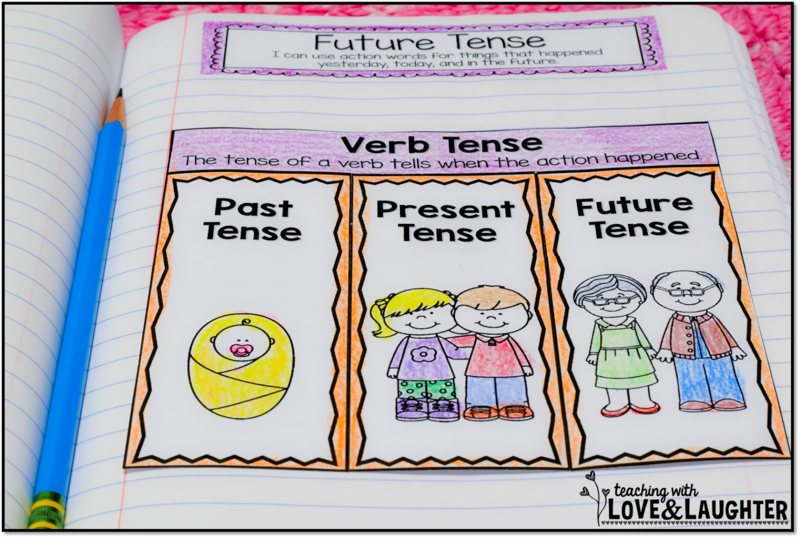 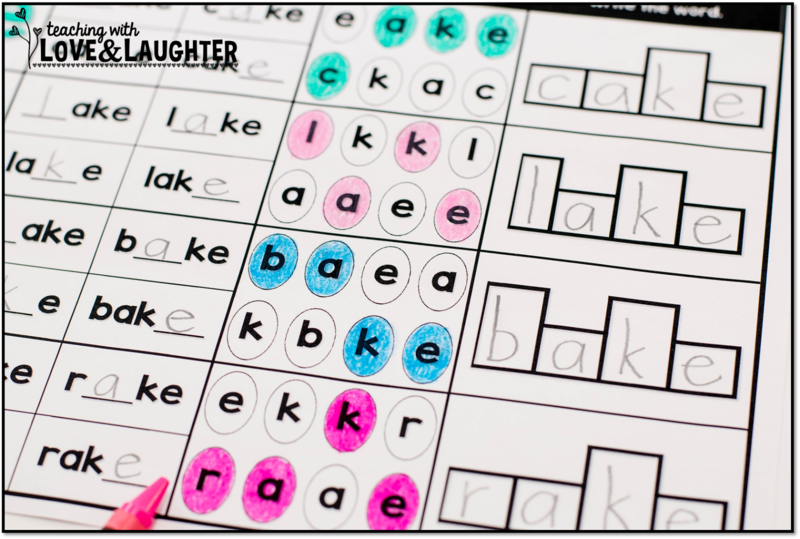 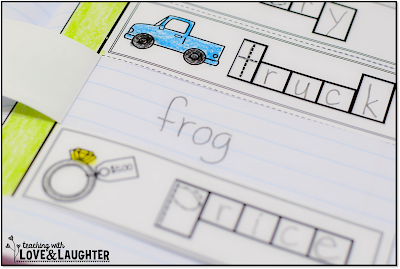 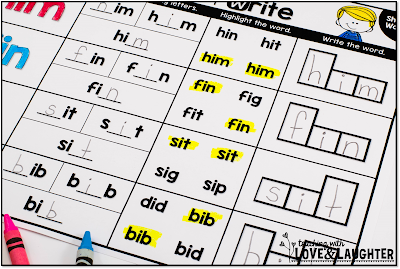 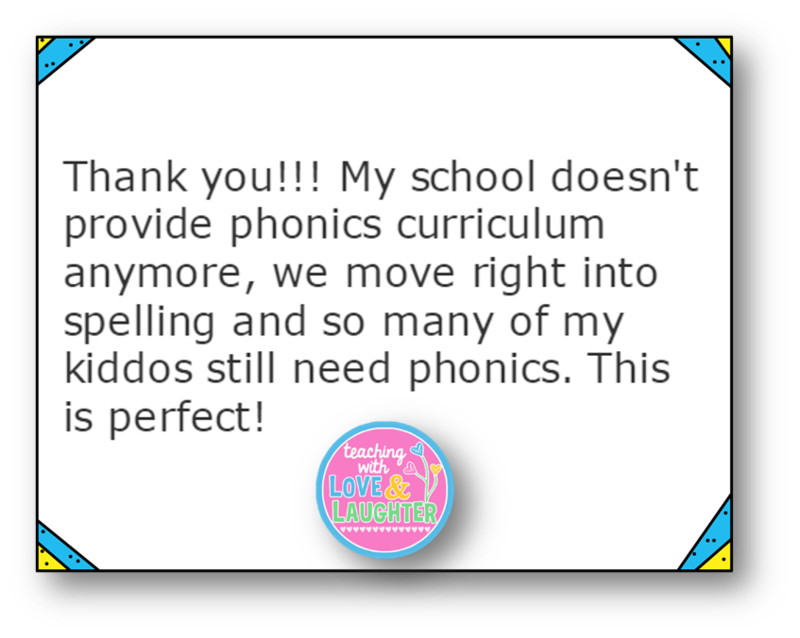 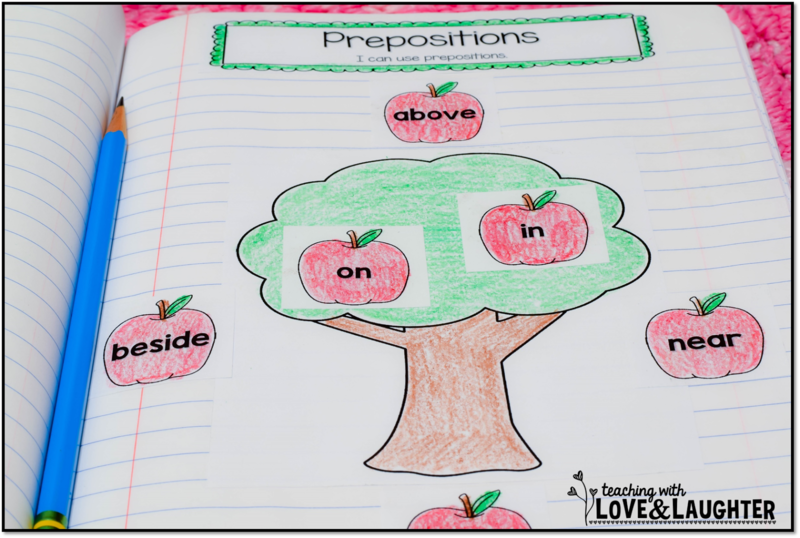 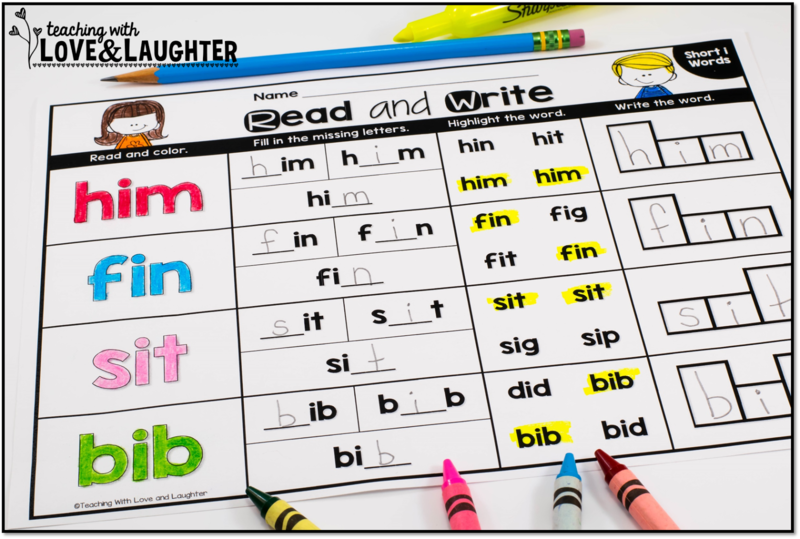 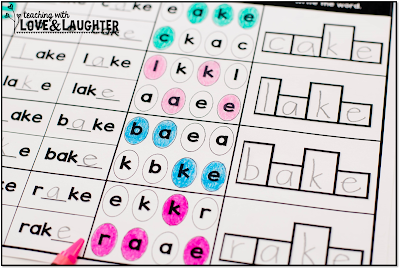 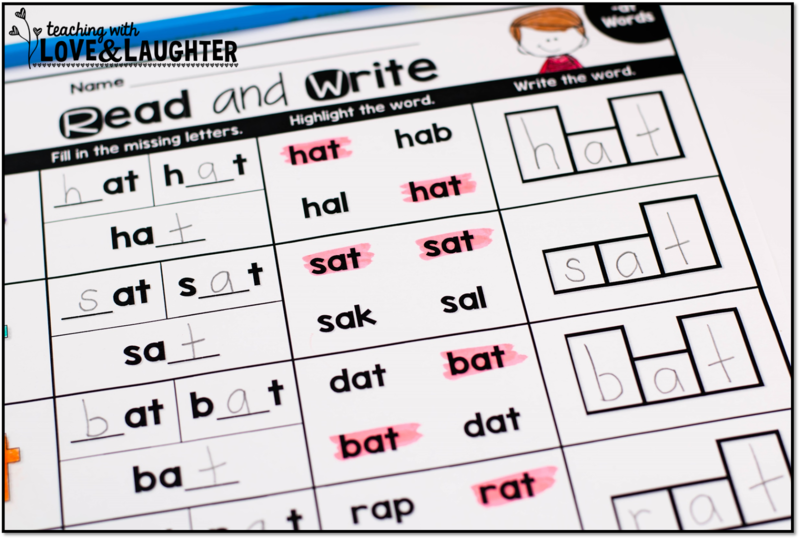 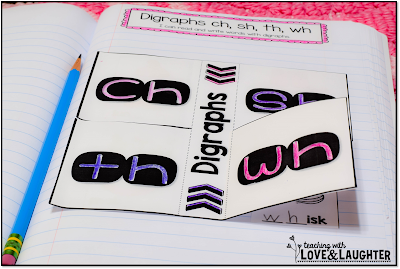 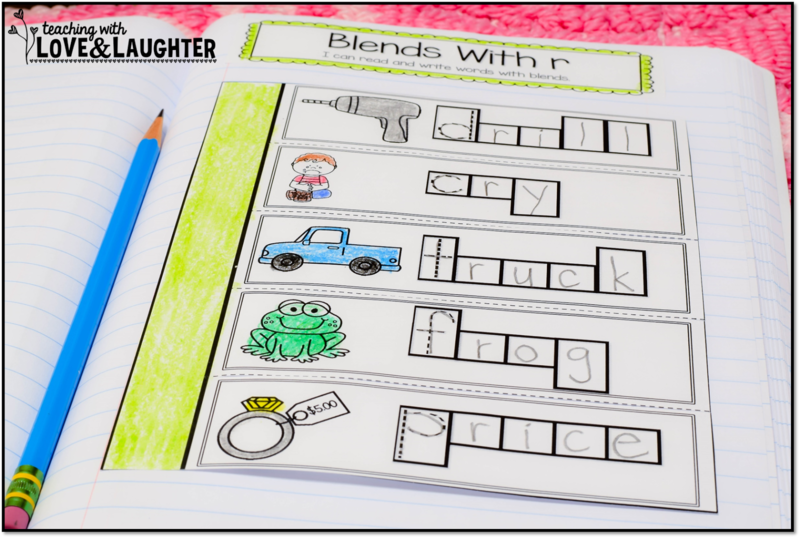 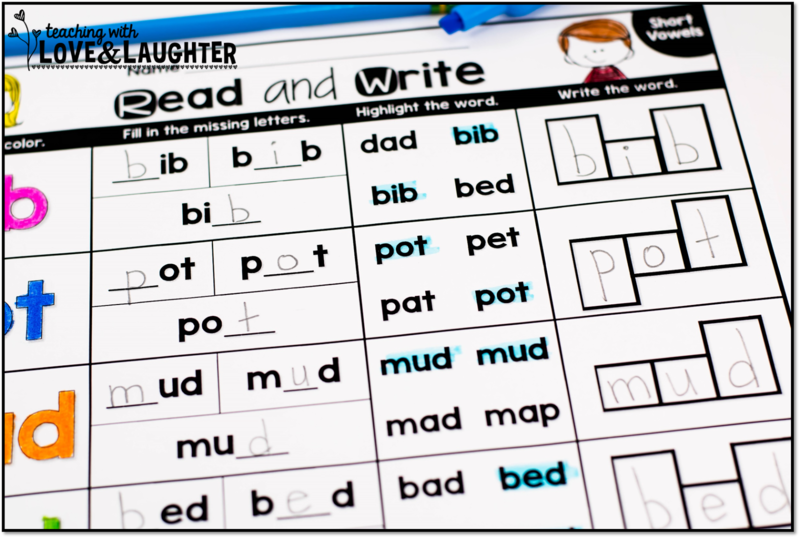 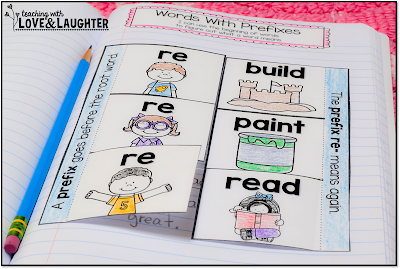 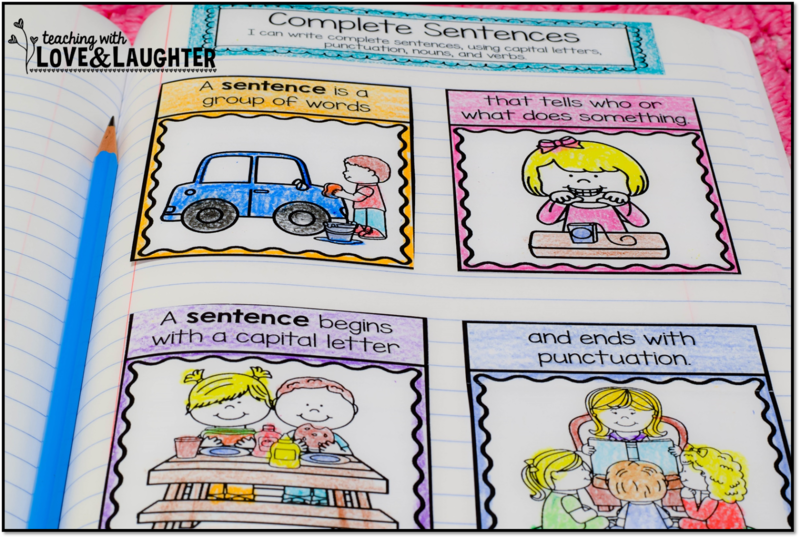 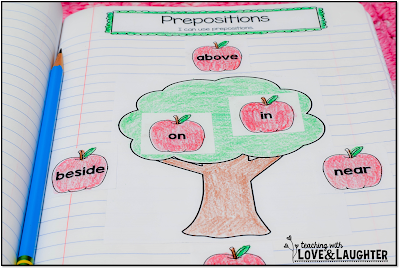 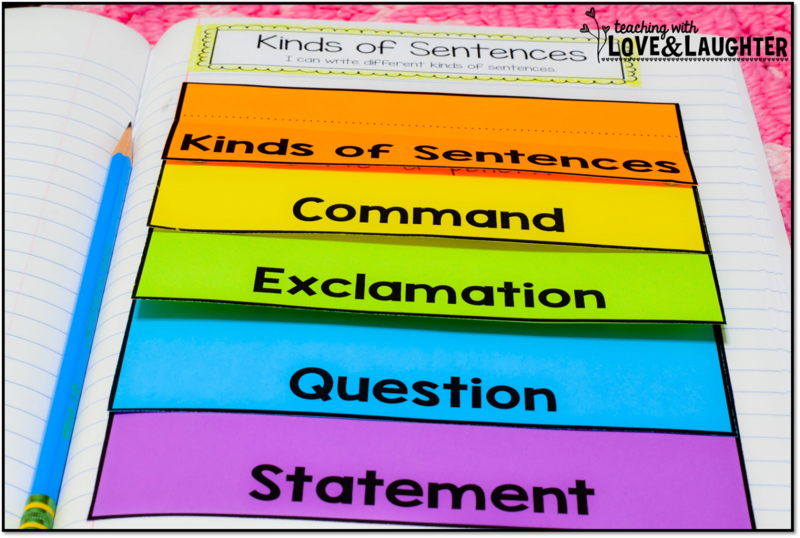 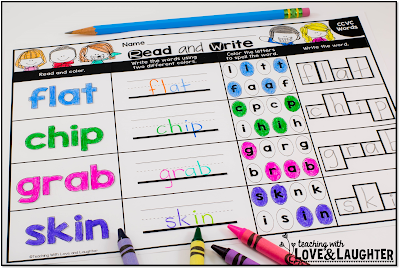 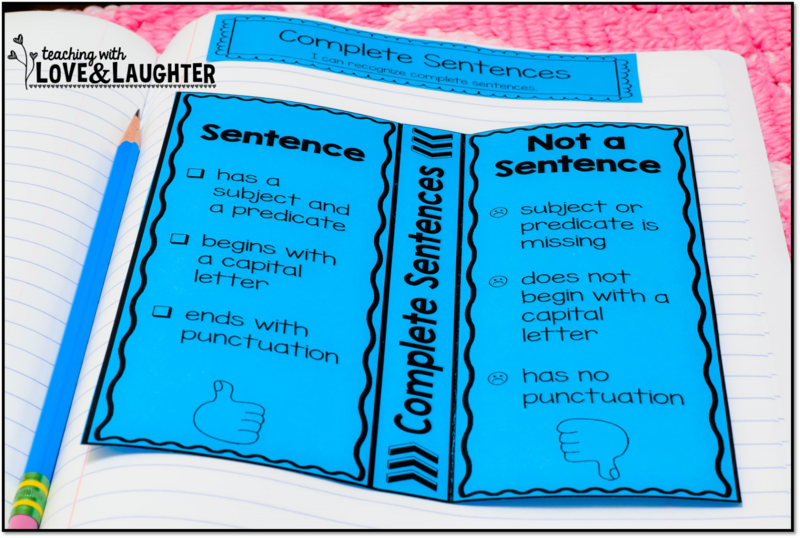 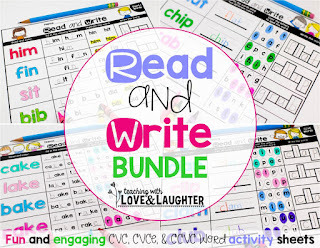 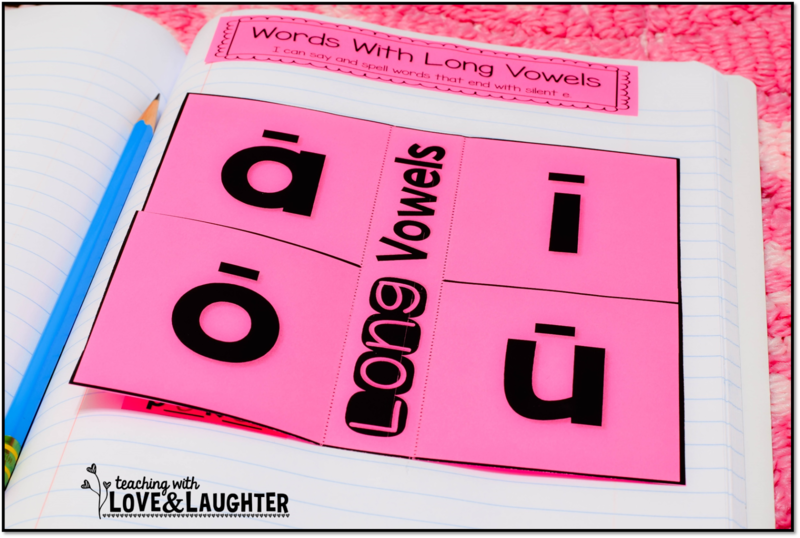 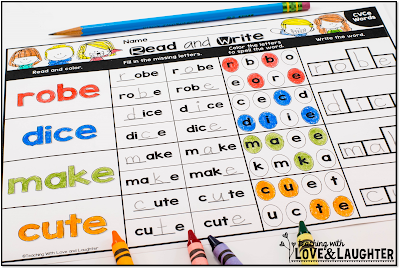 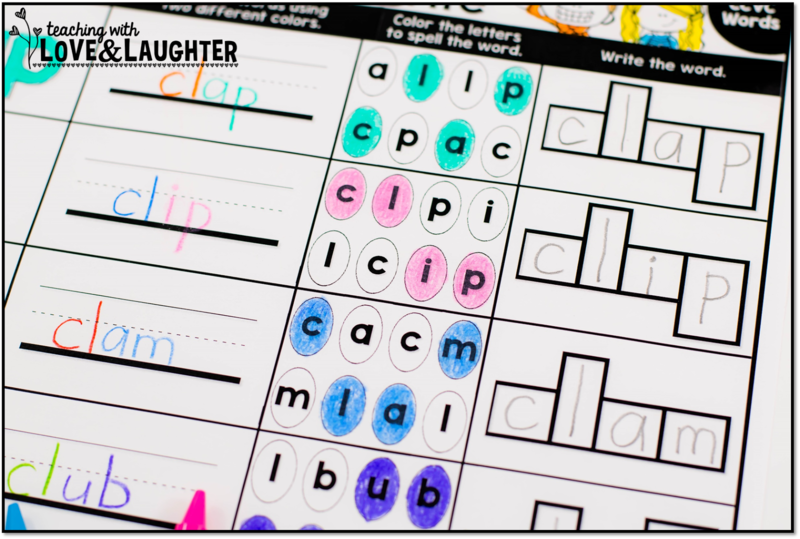 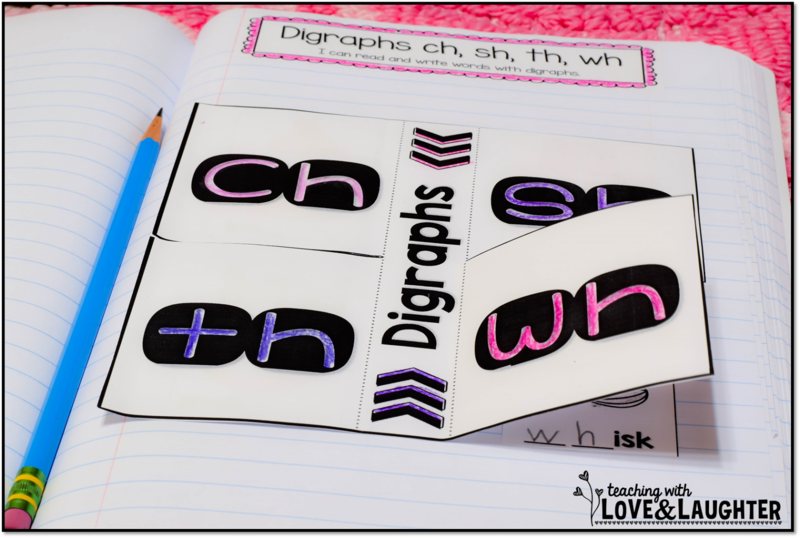 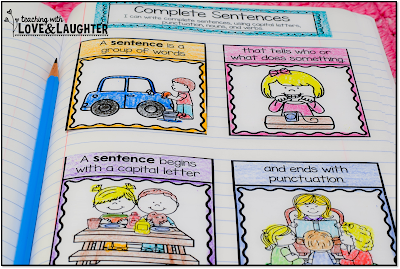 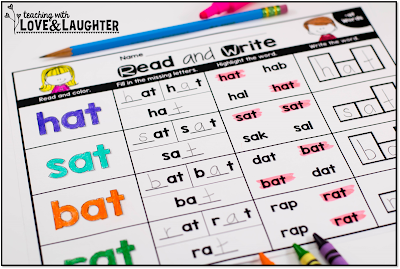 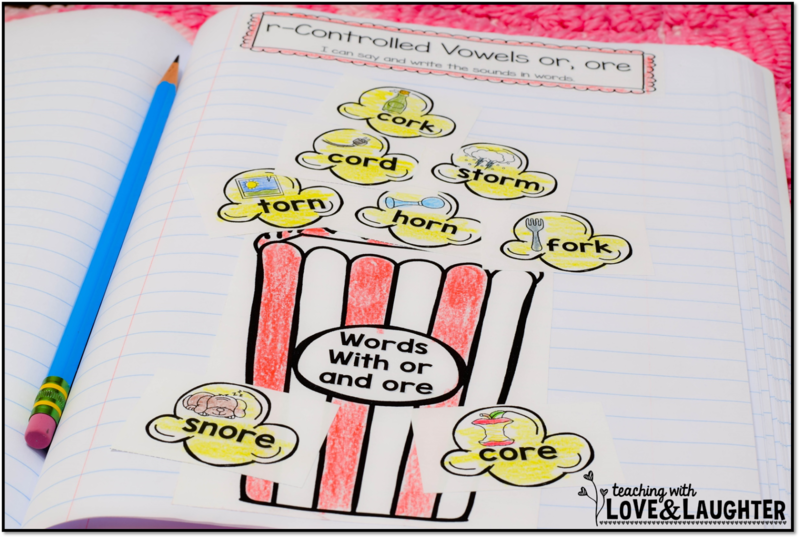 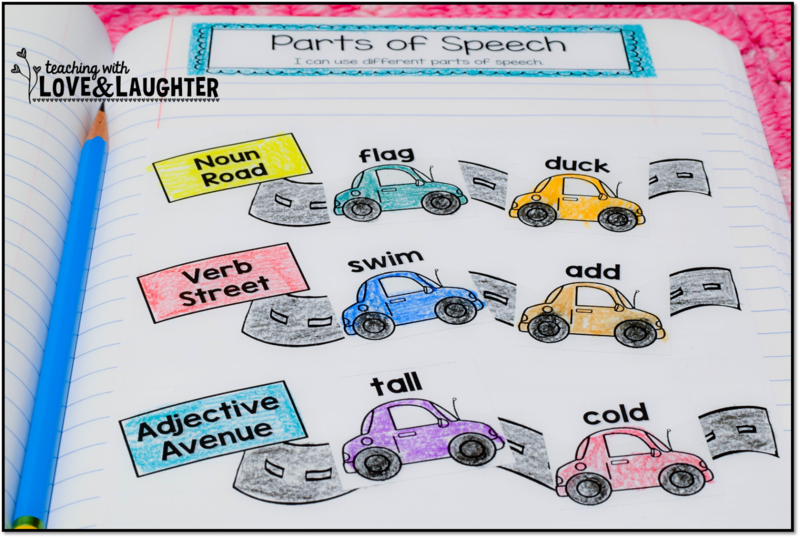 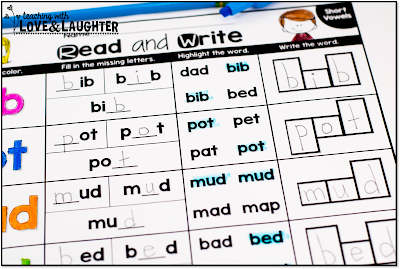 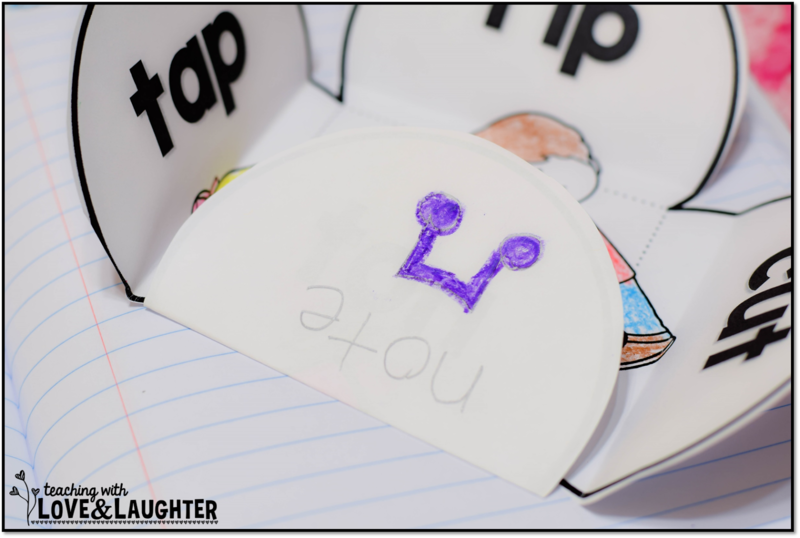 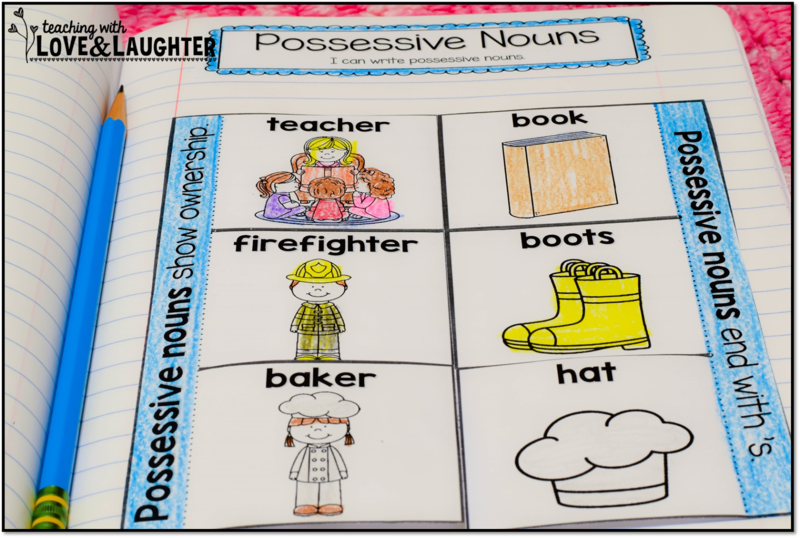 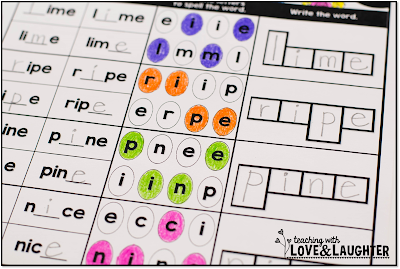 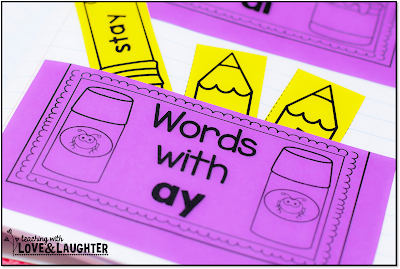 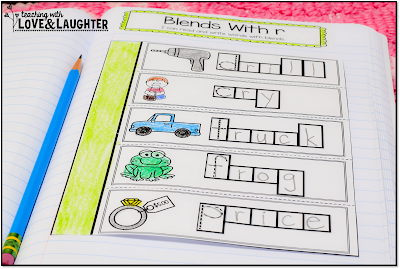 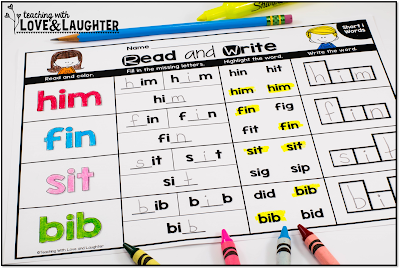 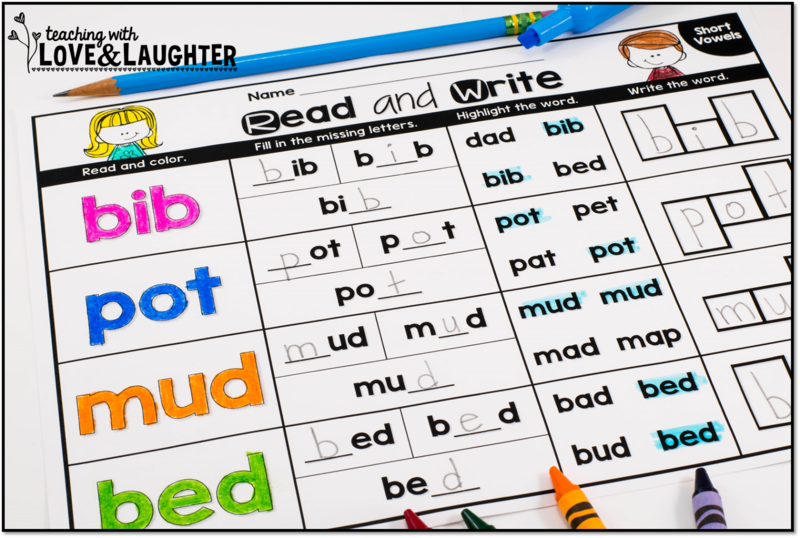 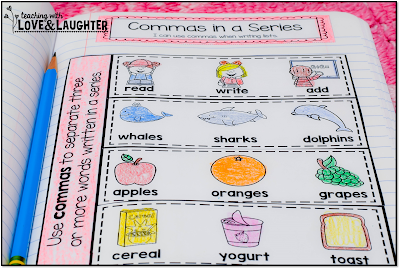 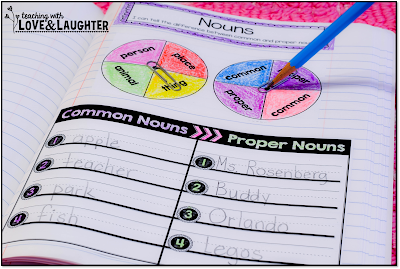 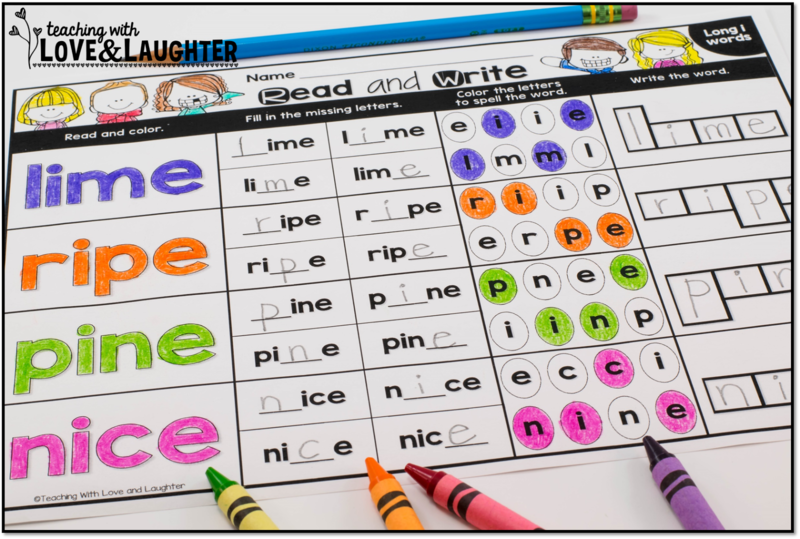 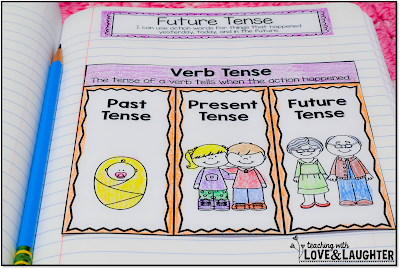 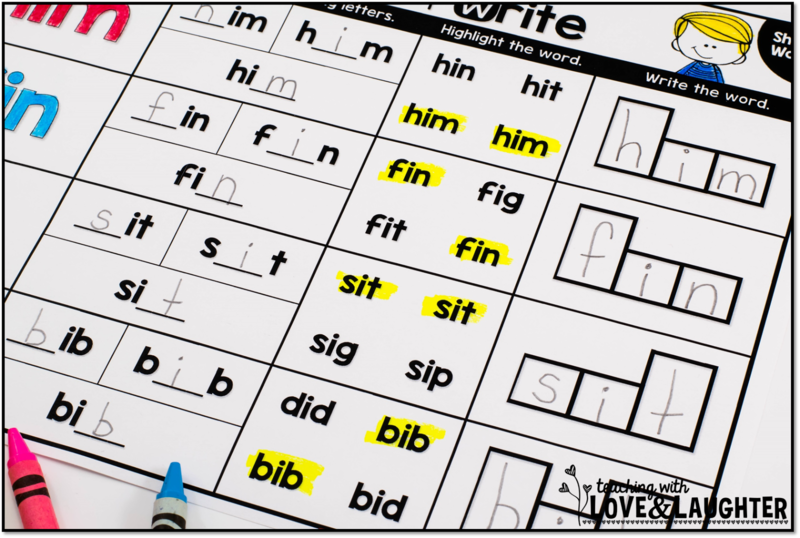 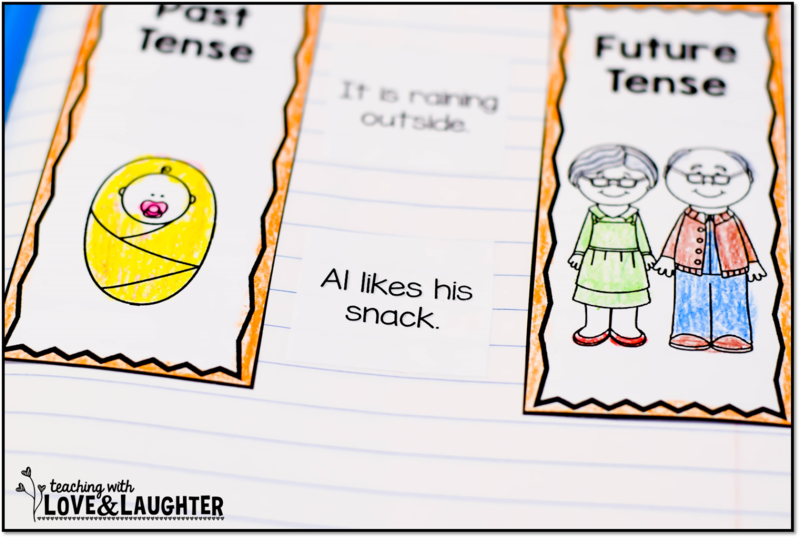 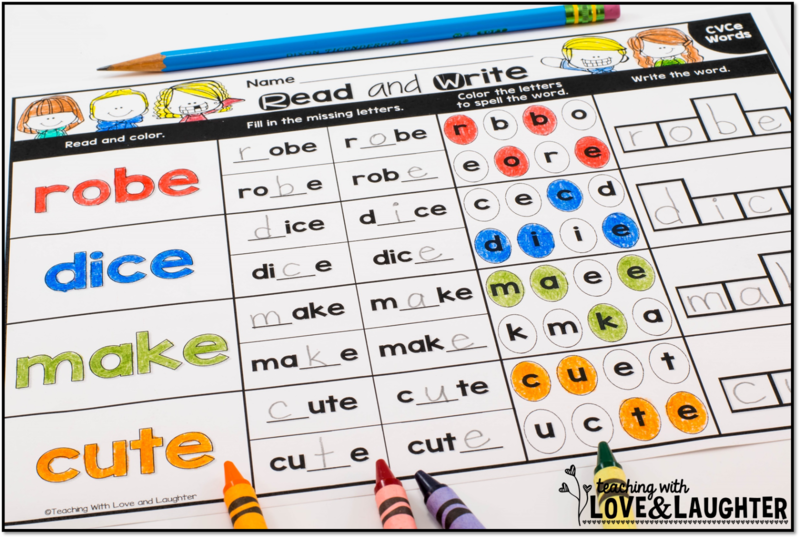 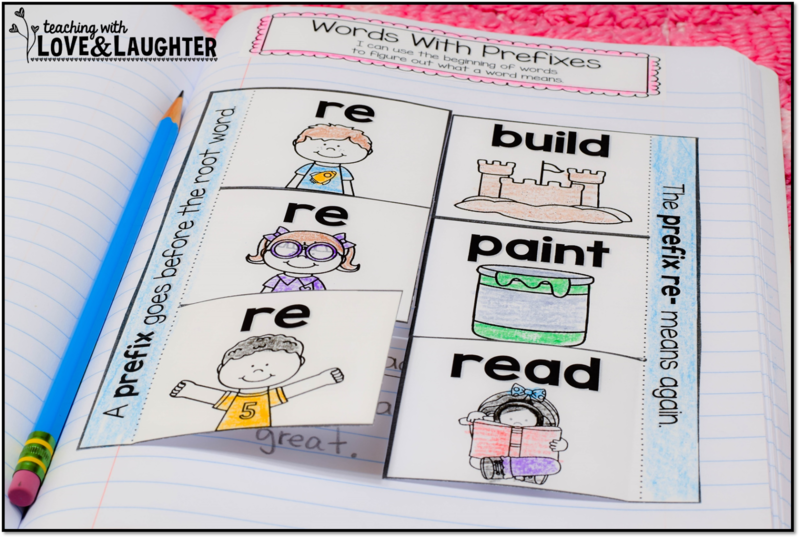 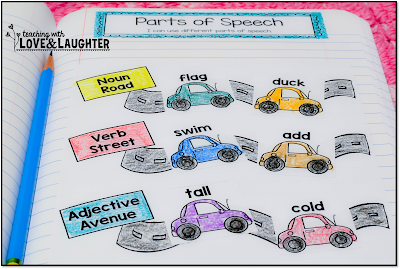 These grammar and phonics activities are included, as well as, sight word and reading skills activities. 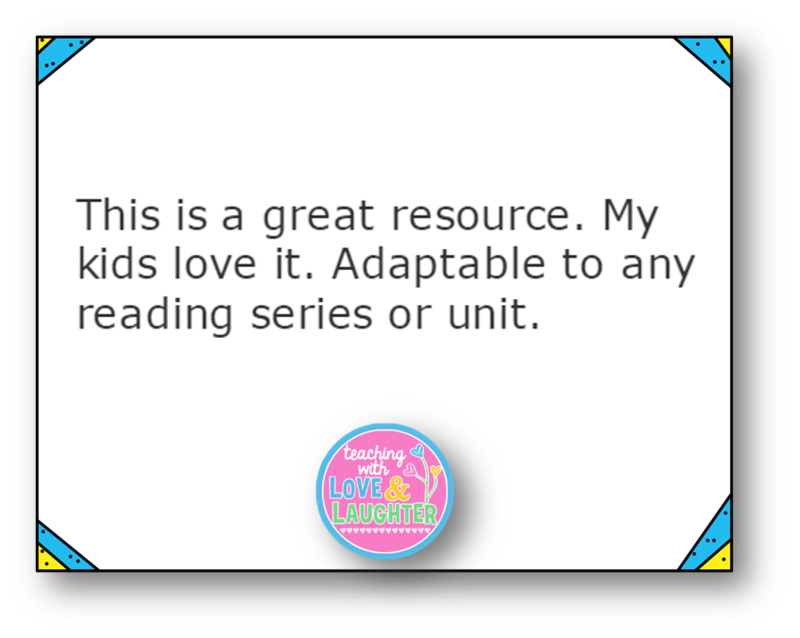 You can find that here. 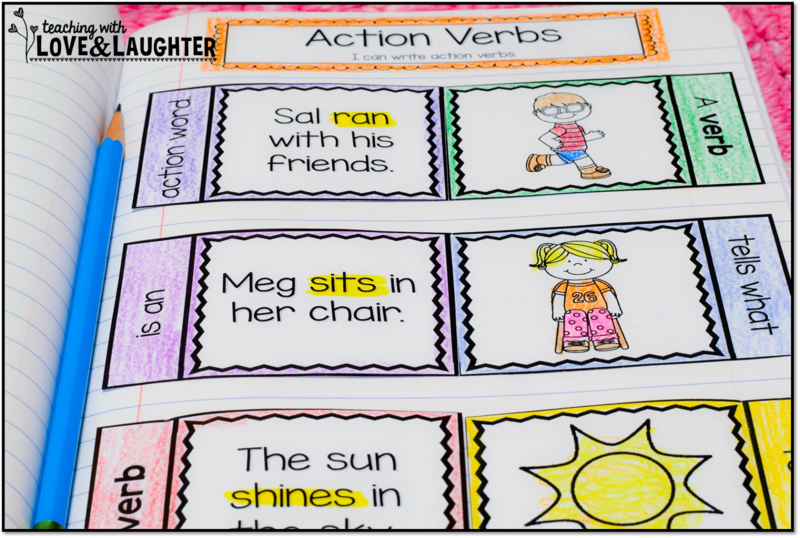 Can I use these activities if I homeschool? Can students in other grades use these activities? 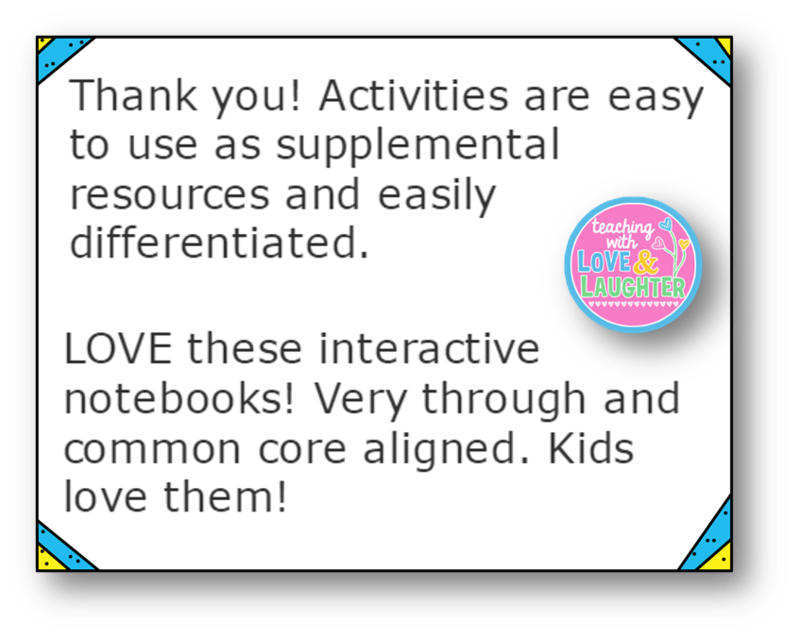 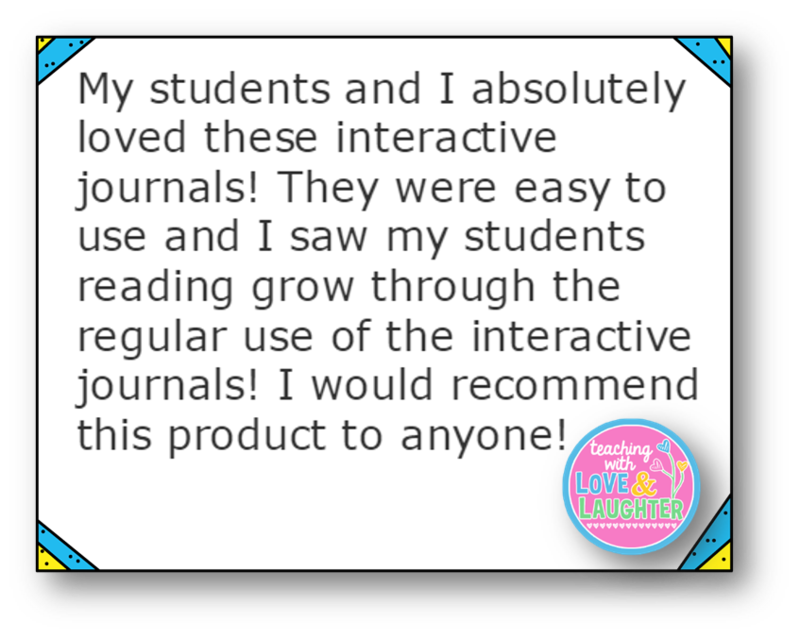 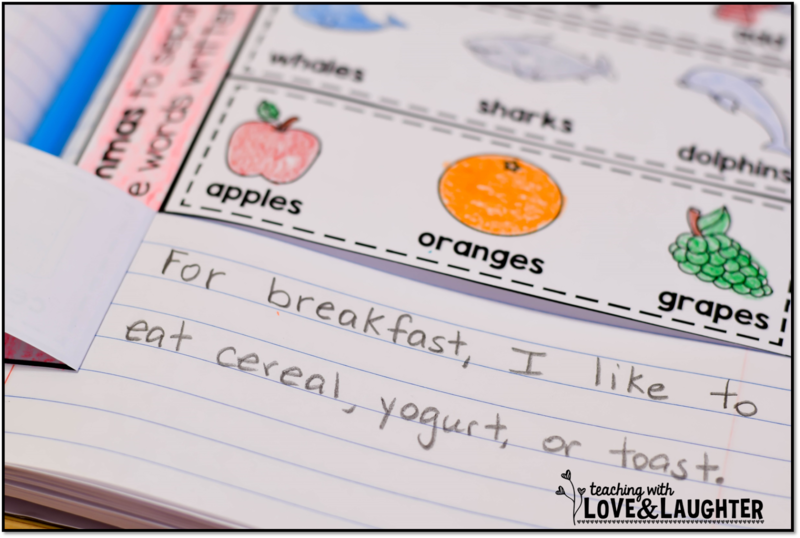 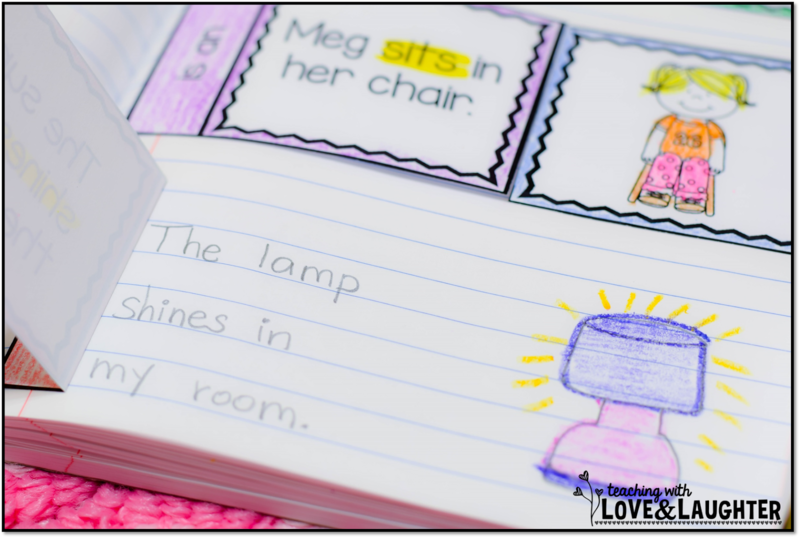 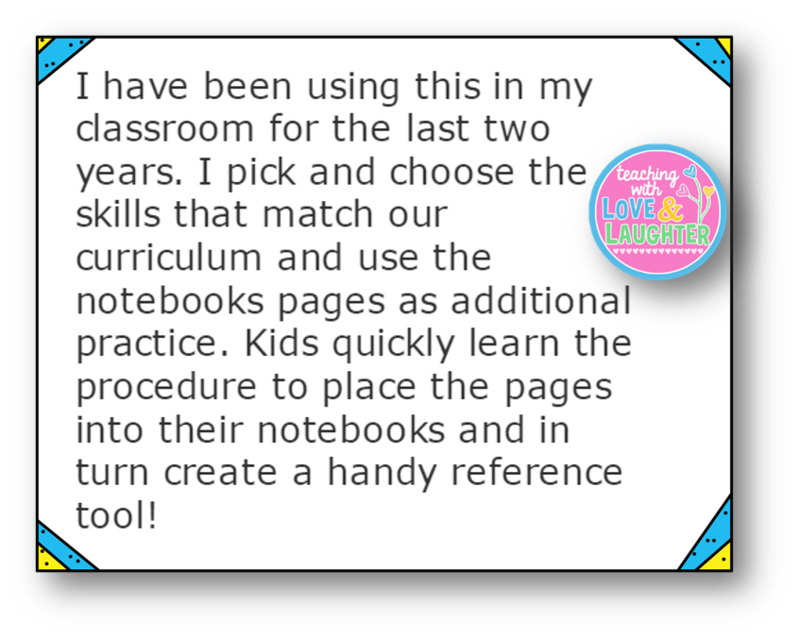 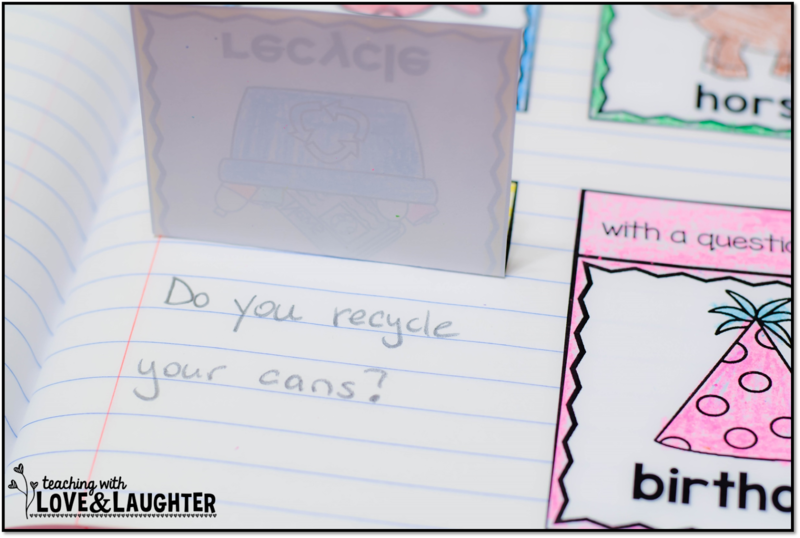 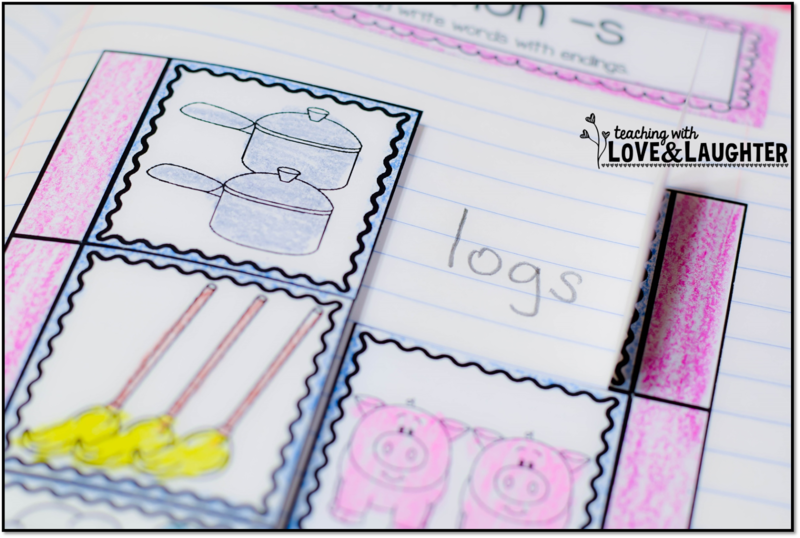 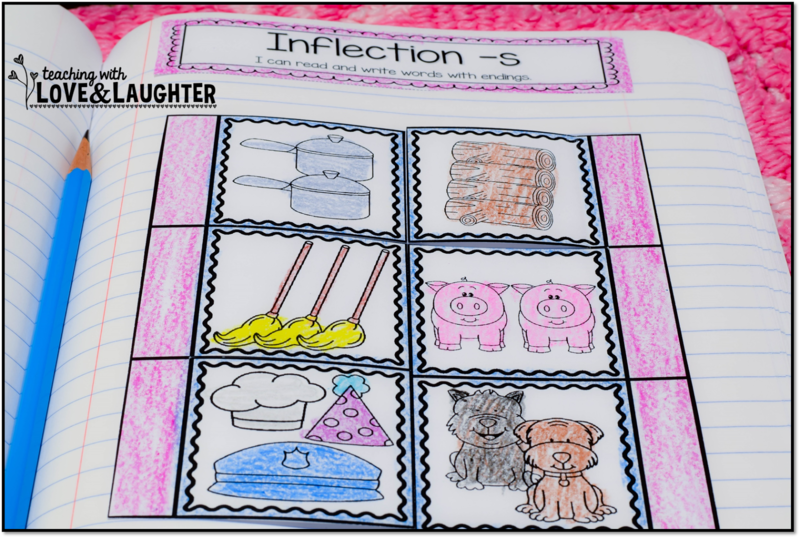 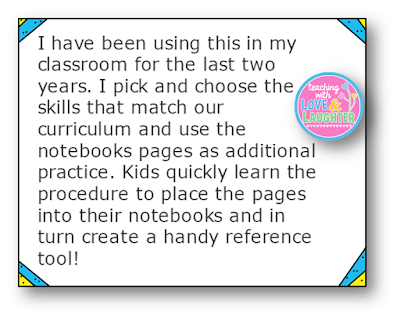 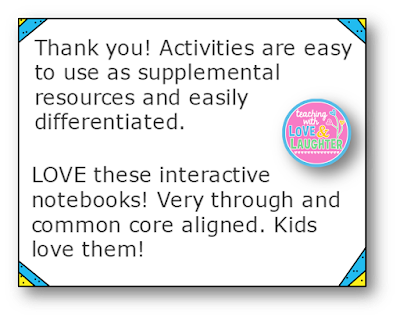 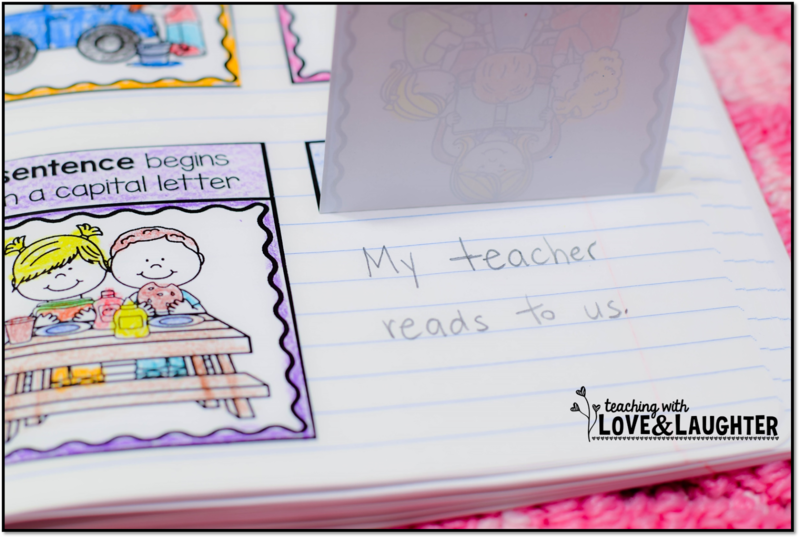 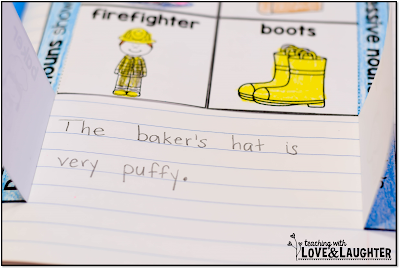 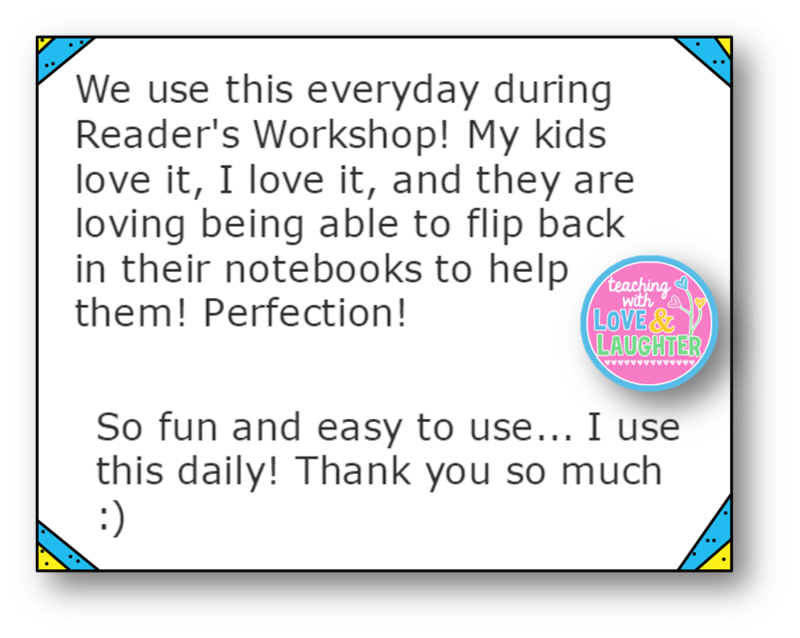 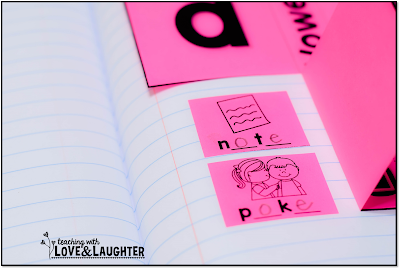 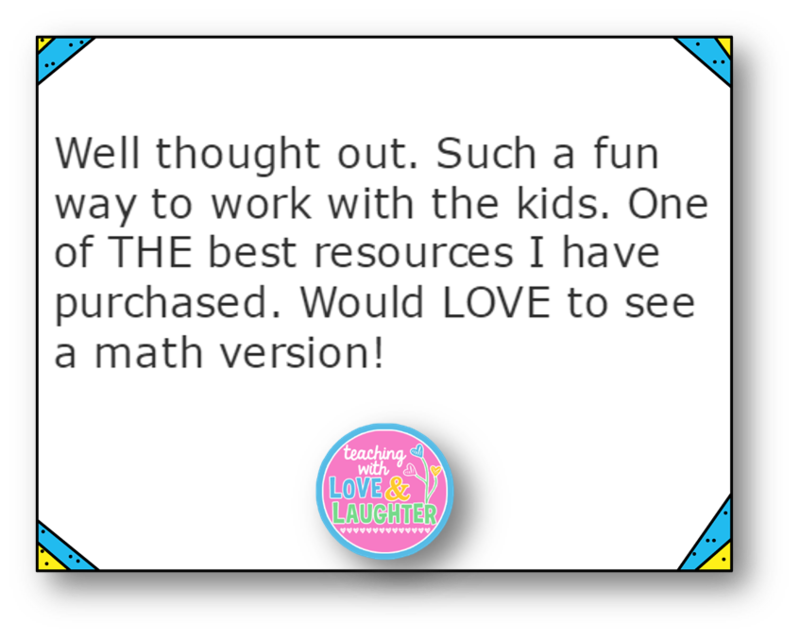 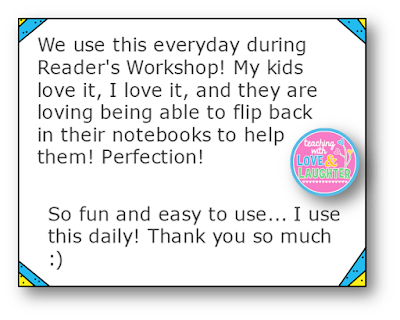 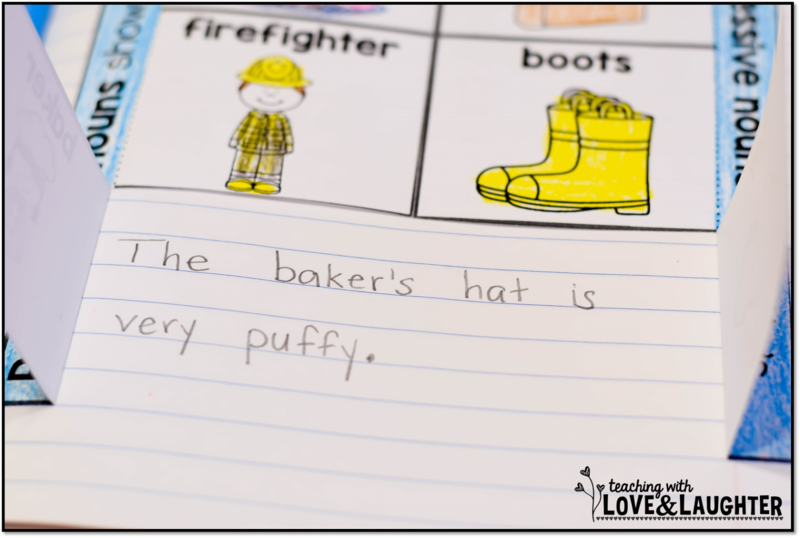 *I have interactive notebook activities for kindergartners, as well. 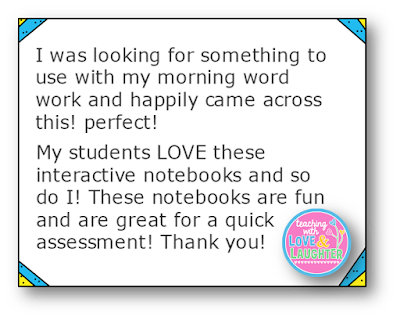 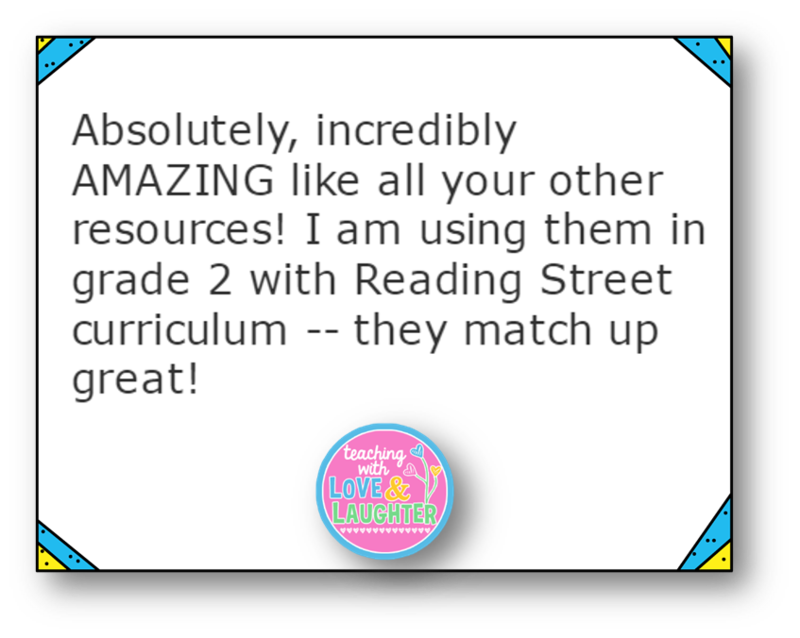 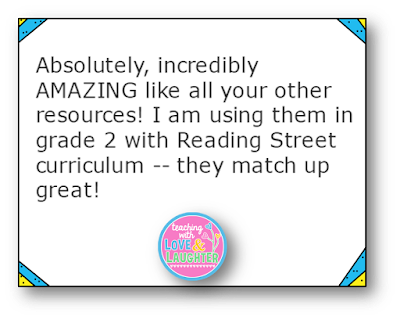 I've received great feedback from teachers, and will write a similar post about them, soon! 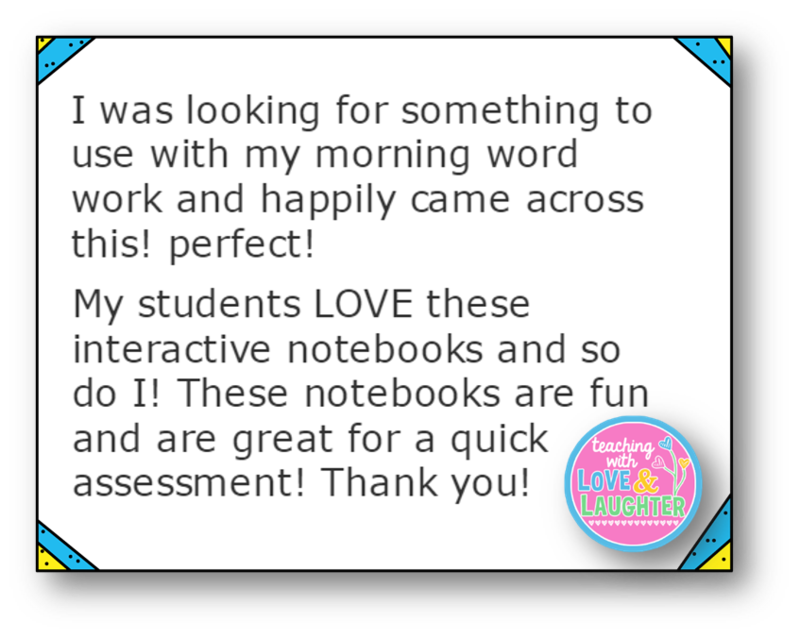 If you are ready to begin interactive notebooks in your classroom, and I hope you are, you can find my activities here. 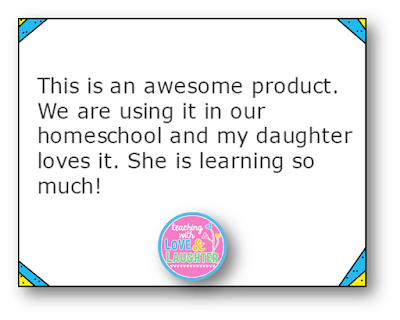 Or, click on the image below.